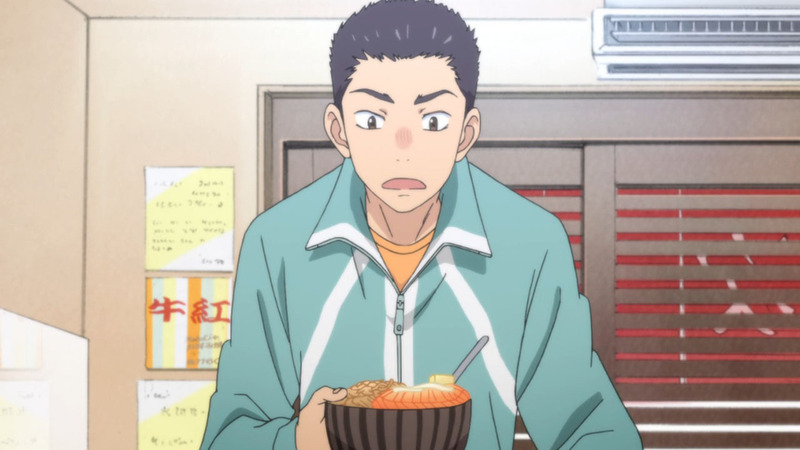 Last episode, Hina was already worrying about his frail health. 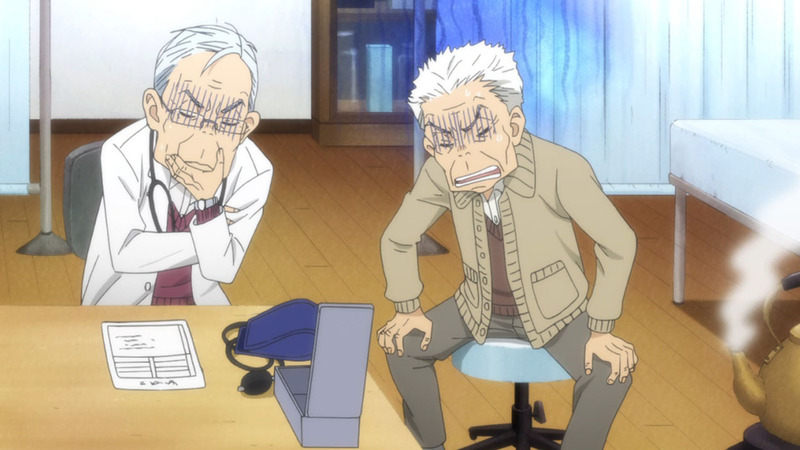 3-gatsu quickly revisits this concern, starting off this episode with Someji’s medical checkup, and symbolically plays with the idea of inevitable loss. 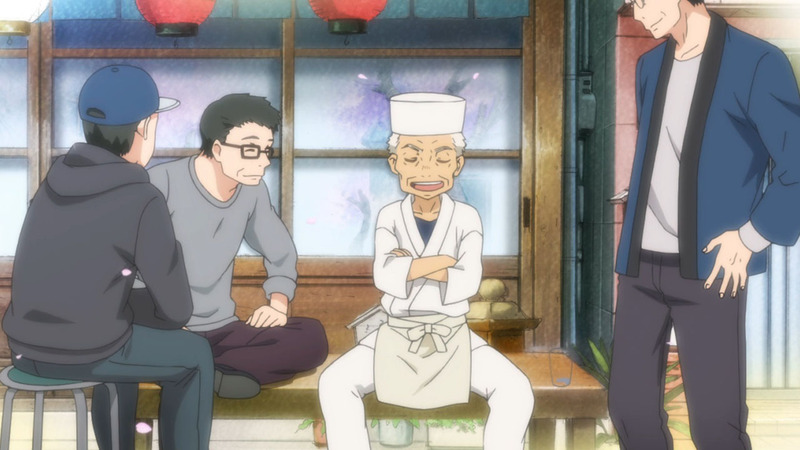 The old man ponders on staying alive for the sake of his granddaughters, insisting that he’s all the family that’s left to them, aiming to be around when Momo can finally get married. Who knows whether that will happen. But when the time comes, we know that he’ll be taken away from this world. So it stands to reason, that the Kawamoto sisters must find peace with such an eventuality. As we come to highschool, a time in our lives bursting with youthful hopes and dreams, it is also the final harrumph before everything fades away into the realities of being a grown up. 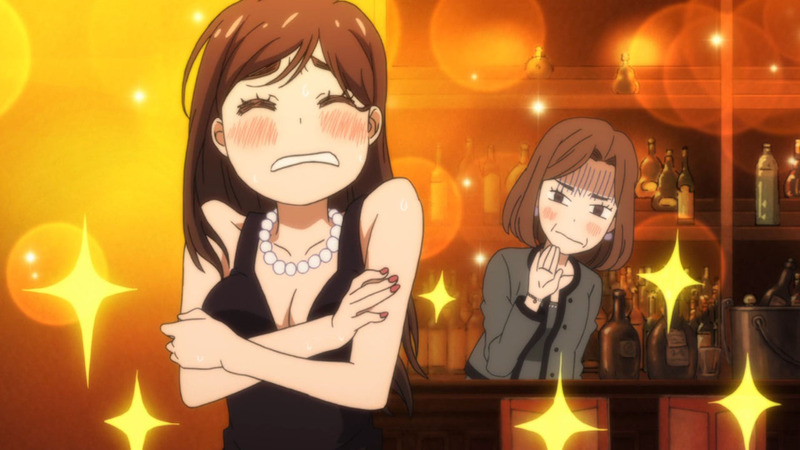 Having only just gotten over her struggles with bullying, Hina is dealt an additional blow to losing Chiho. 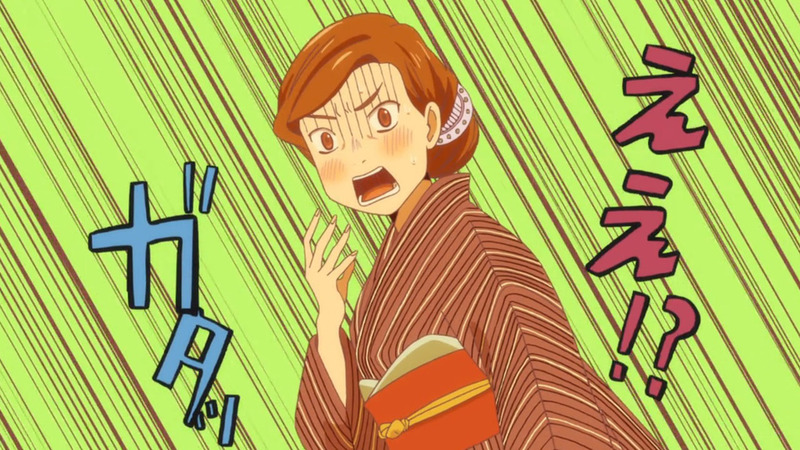 She hears the news that Takahashi will be moving away to pursue his dreams of standing at the Koushien. Hina is no stranger from loss, given her family situation. 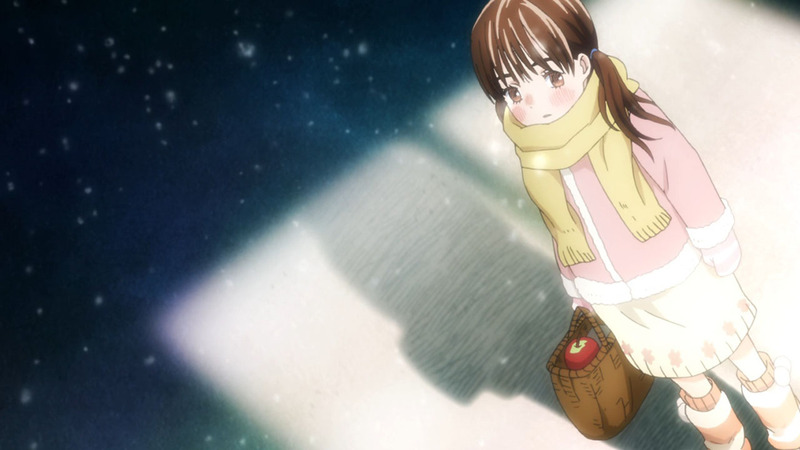 Conversely, Hina was just a kid when she lost her mother. 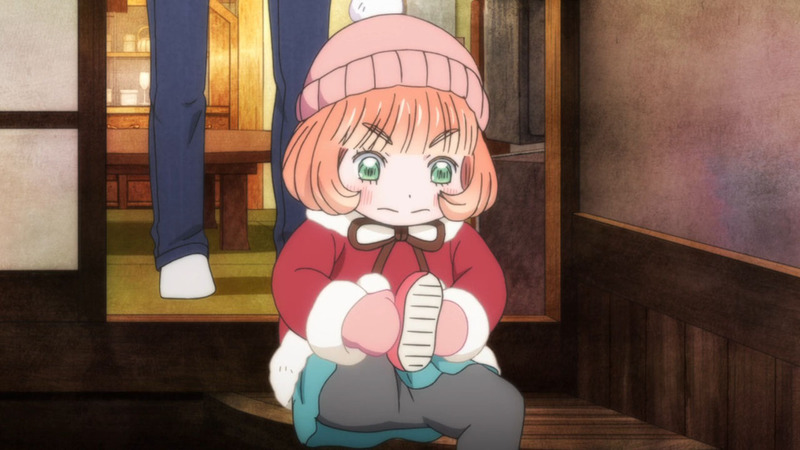 Although it’s definitely saddening, the way kids process these kinds of things will be quite different from how an adult like Akari would respond. Having reached her teenage years, Hina’s realisation of people going different ways in life is a mature outlook, beautifully coloured by her personal experiences. As such, I view her awareness as a partial cornerstone in her transition towards adulthood. To that end, Hina found a clear goal that she actively worked towards, with everyone supporting her too. 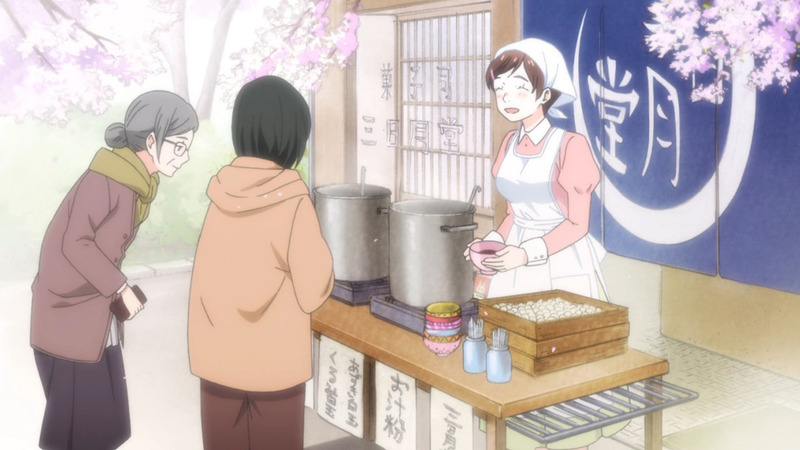 Rei helped out with revision, Akari prepared lovely food that helped her relax, and Someji works all day so that her private highschool could be afforded. After she passed her highschool entrance exam, I saw the congratulatory party as an informal celebration, for what was essentially her ‘coming of age‘. As noted by Akari, Hina’s shorter haircut felt like an outright statement, accepting the inevitable changes that will come her way. 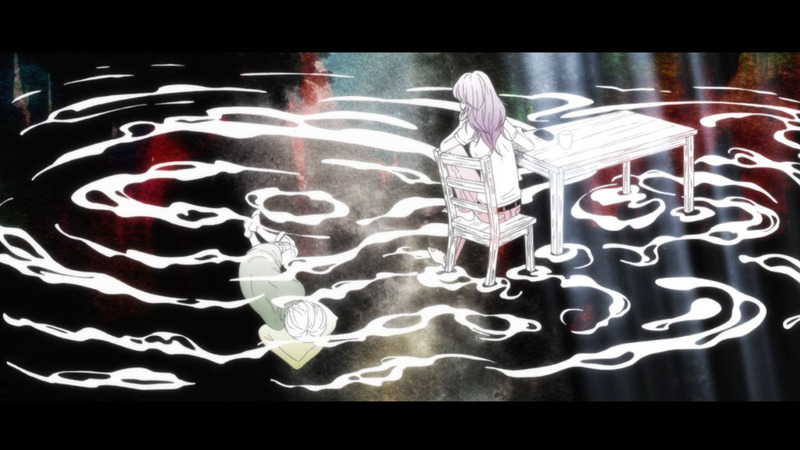 In a way, it also signifies a departure from her childhood phase, as she moves towards a brighter future. Hina triumped over her challenges with flying colours, and through the tearful struggles, happiness is finally within her grasp. While she still hasn’t figured out what she wants to do in the future just yet, she’s managed to take a positive step in the right direction. 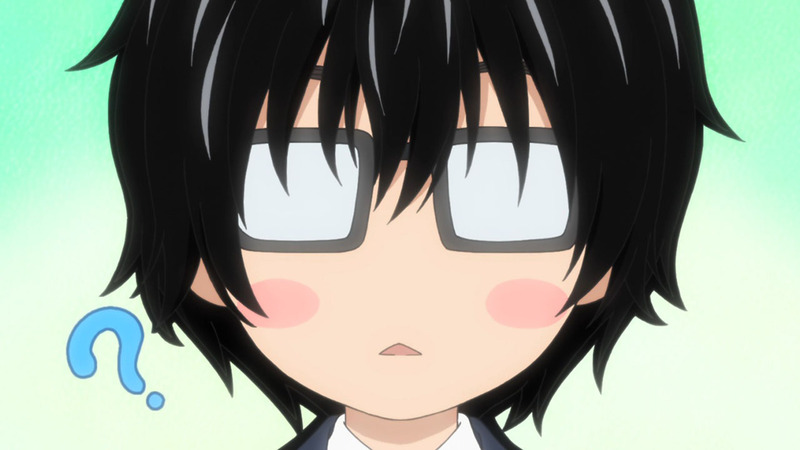 What about the boy known as Rei Kiriyama? While the series doesn’t go full circle, we partially return to the beginning. He bumps into Papa Kouda right at the end of the previous episode, mirroring what we saw at the very start of the entire series. However, these two separate moments are substantially contrasted. From a turbulent shogi game that sent Rei spiralling into further depression, it’s fitting how things end with a reconciliation of sorts, with all previous tension evaporating between the two. 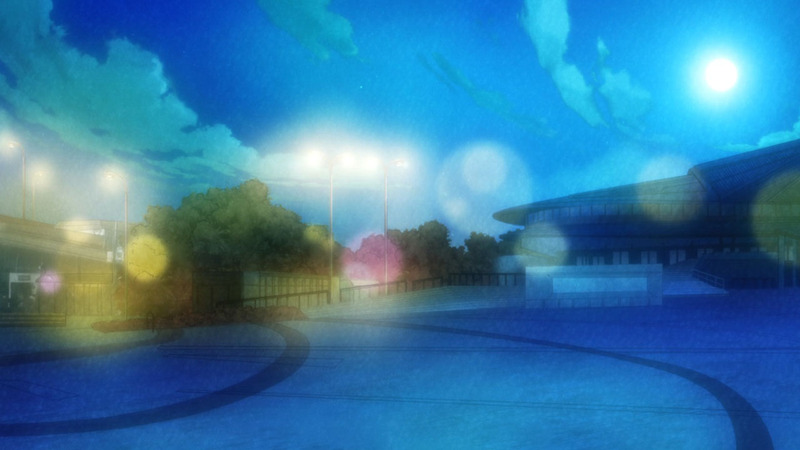 I have no doubts it was this aforementioned meeting, which sparked Rei’s desire to seek emotional closure. His remarkable progress comes to a head, upon returning to the house he had left many years ago. Unafraid of stepping back into a place full of negative memories, he meets with his stepmother and makes peace with the past. It was a truly cathartic moment, when she noticed how he had mellowed out, realising he’d found a much happier place. You could feel her regret, where she dreamed that Rei was a biological child of the Kouda family, who led a normal and happy life. And it made for a bittersweet moment. There was no malice in her heart, and you could see the way things could have been, if not for impossible circumstances. 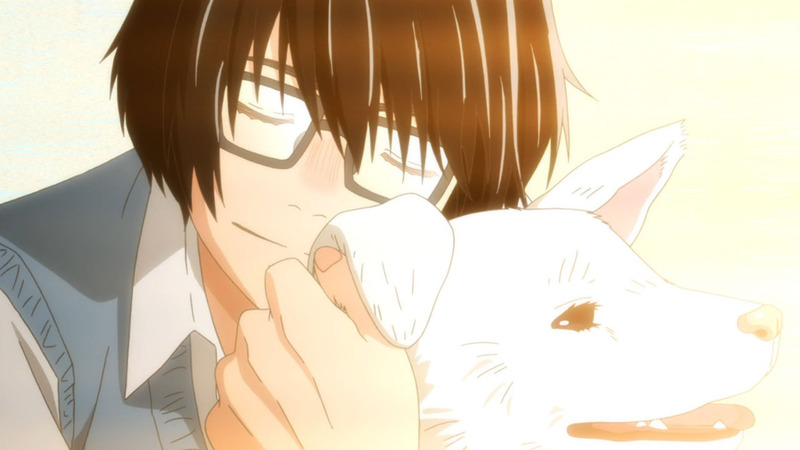 He ultimately bids an emotional farewell to Tarou, asking the dog to live a long life. I get the feeling that he doesn’t plan on returning ever again, and I felt like crying. In that cold and uncaring house, the dog might have been the only creature that genuinely cared for him. 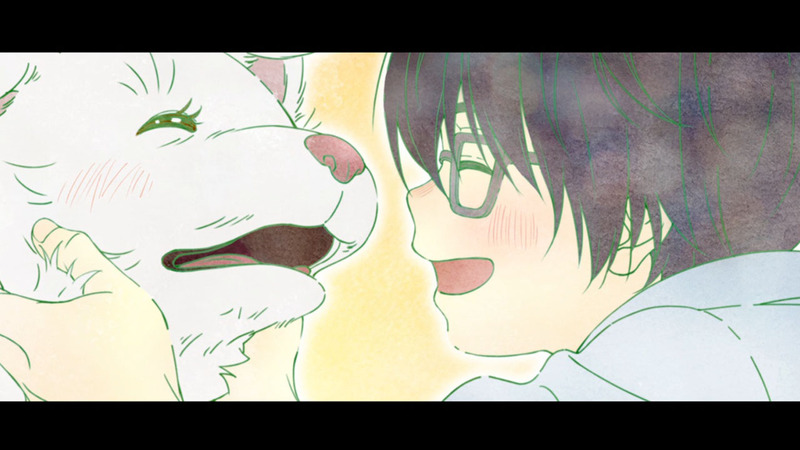 This was his goodbye to a steadfast companion, that had faithfully stayed at his side, throughout a lonely childhood. 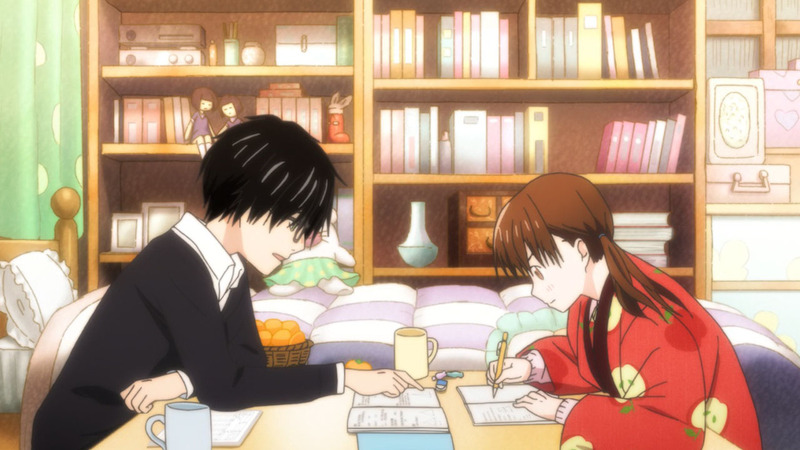 From an outside perspective, 3-gatsu might seem like a series about shogi, where the main character strives to win. The board game is ever-present and serves as an emotional conduit for different players, allowing us to glean insights into an individual, without requiring prior knowledge about shogi. 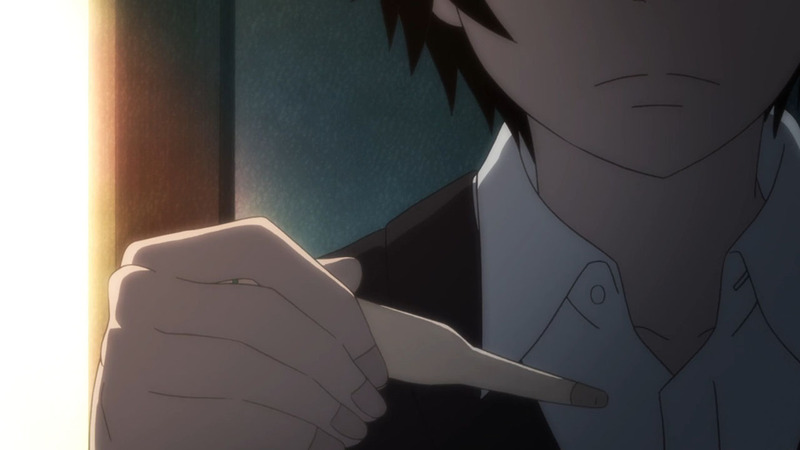 As I’ve just described, shogi actually becomes a tool for psychological exploration, which is a part of the truth. 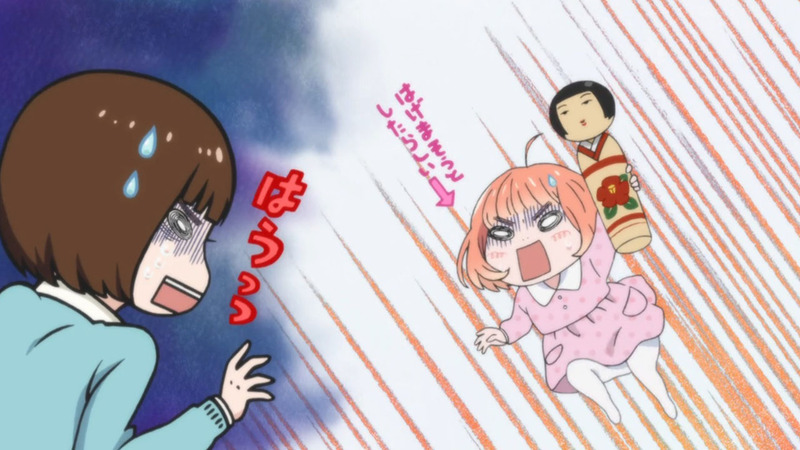 3-gatsu is really a series about people and their personal experiences with life. Coupled with poetic storytelling, and mesmerising visuals, Shaft deserve praise because they absolutely brought the series to life. 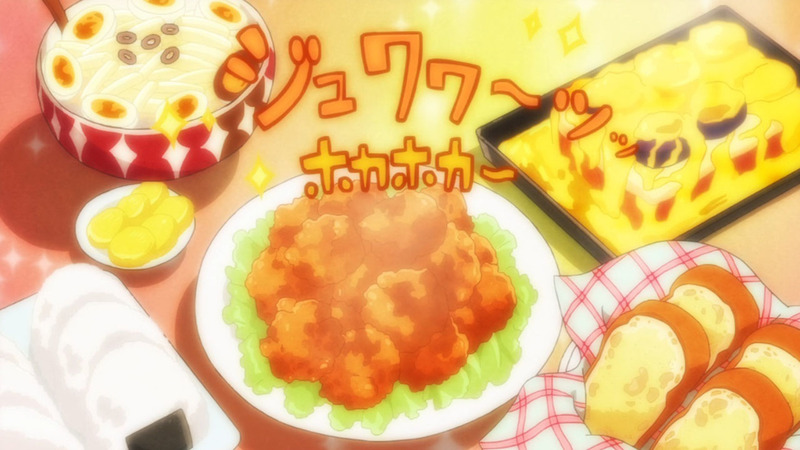 Initially, I had my doubts over whether their style would fit 3-gatsu. Now it’s hard to imagine any another studio that could have imparted this level of vibrancy, through stellar animation and abstract sequences, that succeeded in conveying the subtlest of emotional intricacies. However, make no mistake. All credit should go to Umino Chica, who is the true genius behind this magnum opus. She thoroughly understands what it means to be human, and communicates it through beautifully crafted characterisations, with her creations coming across like genuine people. 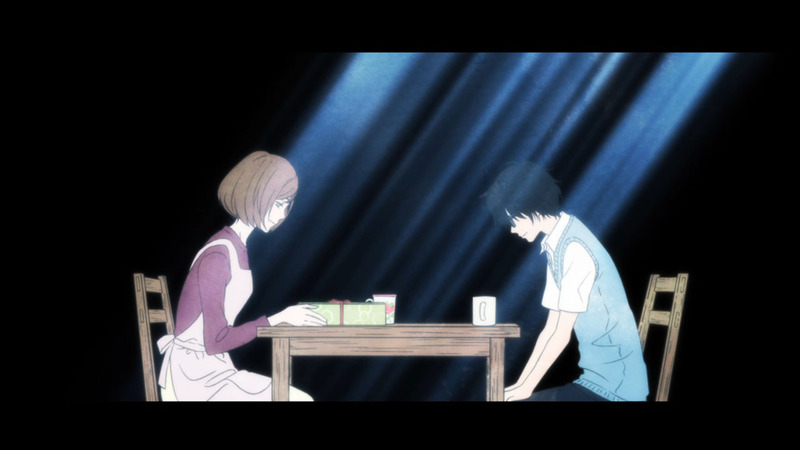 As an orphan left with nothing, Rei’s life comes to be utterly defined by shogi, and he finds no solace in playing it. For him, it is merely a lonely way of desperate survival, filled with nothing but darkness and despair. But over the course of the series, he learns that there is a way out, and discovers a path towards salvation. At first, Rei’s growth doesn’t seem apparent, because there was no obvious trigger that acted as a defining moment. I had a close friend tell me he couldn’t stand seeing a depressed character who didn’t attempt to help himself, and who had made no progress throughout S1. Wrong! I’d argue that Rei’s gradual progression is totally undeniable, and he has come a very long way since the start of S1. 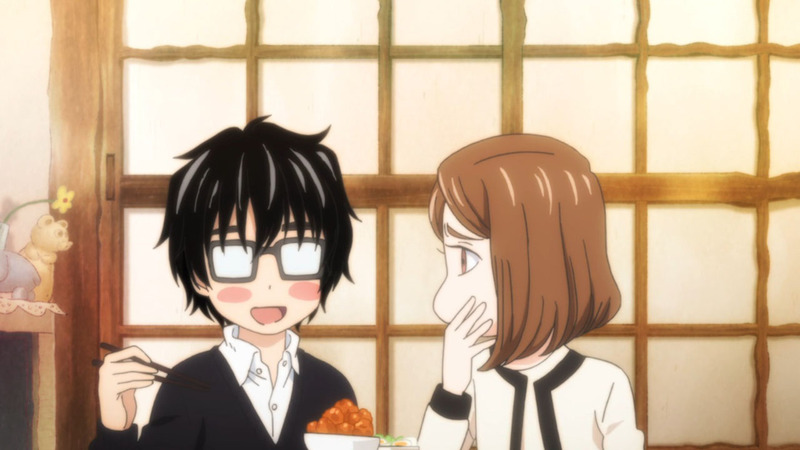 Over the span of S2, Kiriyama’s relationships with others have also developed in a more meaningful way. He used to maintain a careful distance from the Kawamoto sisters, not wanting to parasitically leech off their kindness, and usually palmed off Nikaidou whenever they met. After learning about a give and take quandary, from helping Shimada prepare for his title challenge, he reaches an epiphany and breaks the mental block of being a destructive cuckoo. This enables him to go back to these relationships, and ultimately help loved ones in their moments of need. He is able to save himself, and other people in the process. 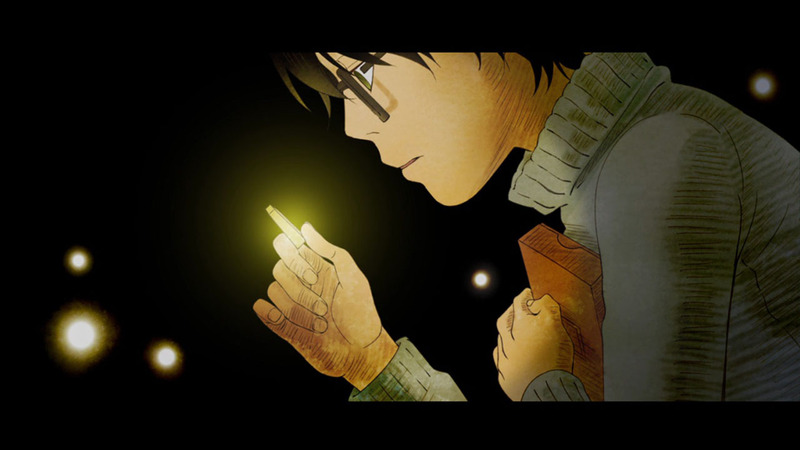 Through the light of the Kawamoto sisters, and by finding his place at school, he finds an escape from solitude. 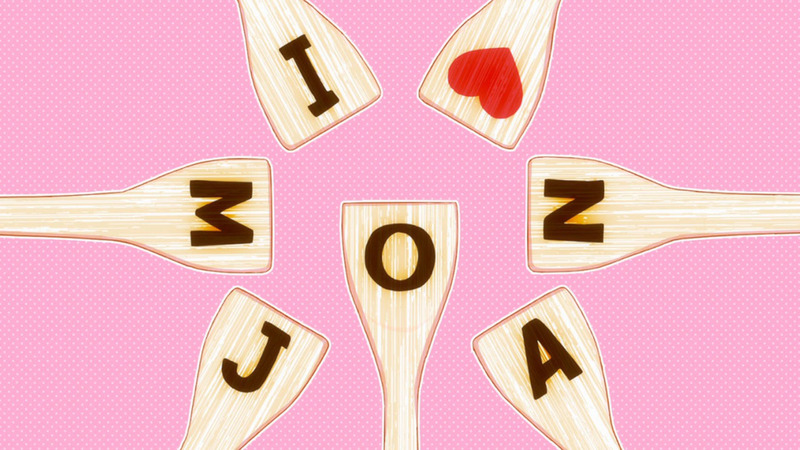 Partway through S2, he finds a better reason to play shogi, and that would be playing for the sake of others. 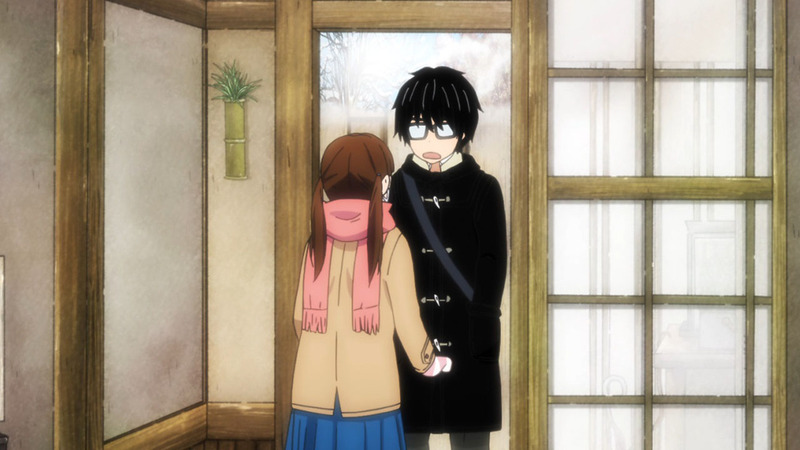 When Hina endured through her bullying, Kiriyama played his heart out, so that he could derive the income to properly support her if the worst case scenario occurred. 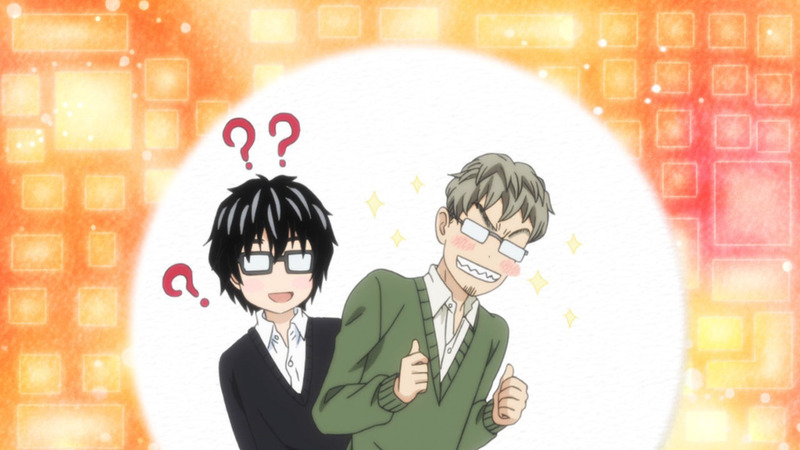 Of course, it’s wholly possible that Kiriyama still would have won the Newcomer Tournament. But I believe that his awareness of Hina’s awful situation, and desire to avenge Nikaidou’s semi-final loss, were the biggest reasons as to why he won the Newcomer Tournament. Additionally, through playing against Souya, Rei finds further impetus to carry on climbing upwards – the prospect of getting a rematch with Souya. 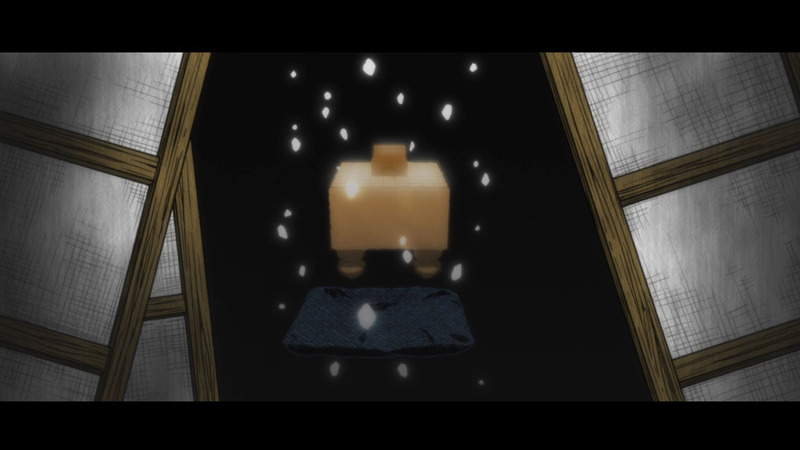 So this would be the first time where he finally plays shogi for a properly selfish reason, that isn’t based around survival, proving that he has come a considerable distance since the start. 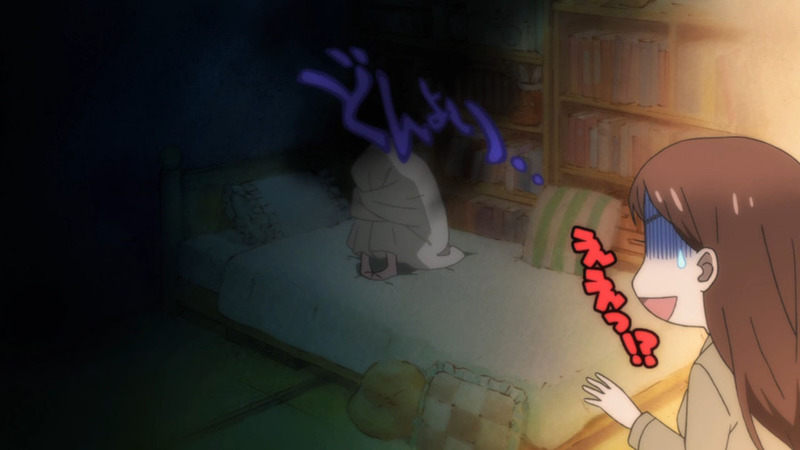 Anyway, it’s not like 3-gatsu focuses on Rei at the detriment of all others. 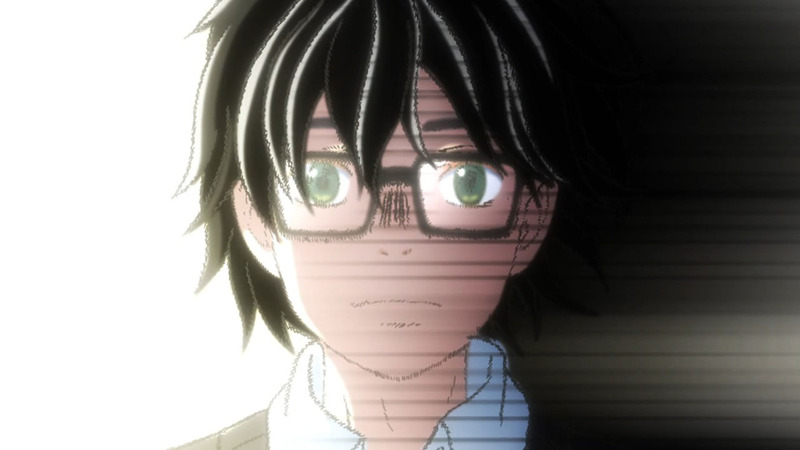 While Kiriyama is undoubtedly the protagonist, there is magic where the show switches its attention from him, allowing others to have their chance in the spotlight. No episode or arc could be described as weak, precisely due to the depth to which these other characters were explored. 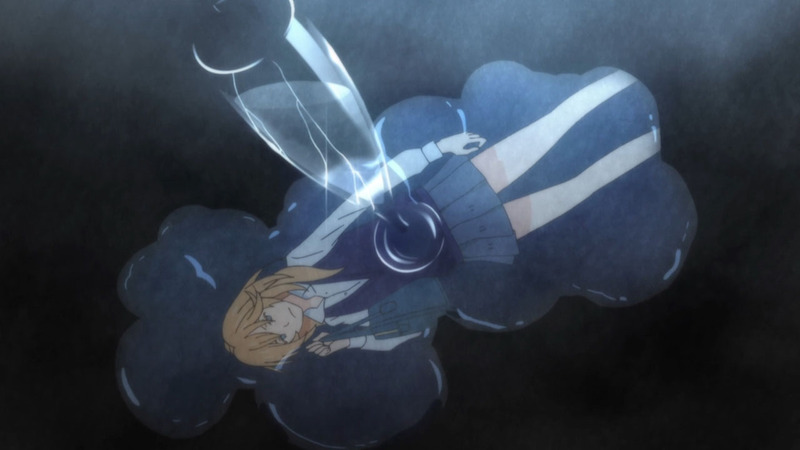 Umino Chica expresses their hopes and dreams, in conjunction with darkness and despair, to create a powerful equilibrium through which her characters can be sufficiently fleshed out. 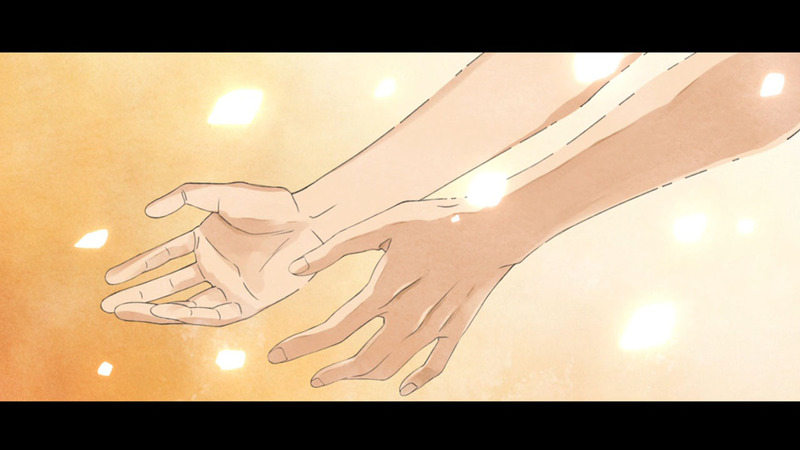 As the series continued, we began to see the story behind everyone’s lives, and how they all managed to intersect. 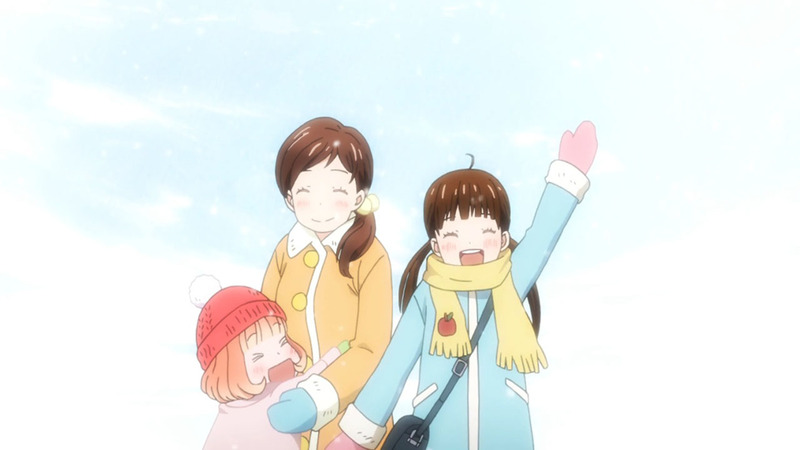 Akari, Hina and Momo are equally as important as Rei, and this definitely continued being the case in S2. Their suffering was our suffering, and their happiness was our happiness as well. 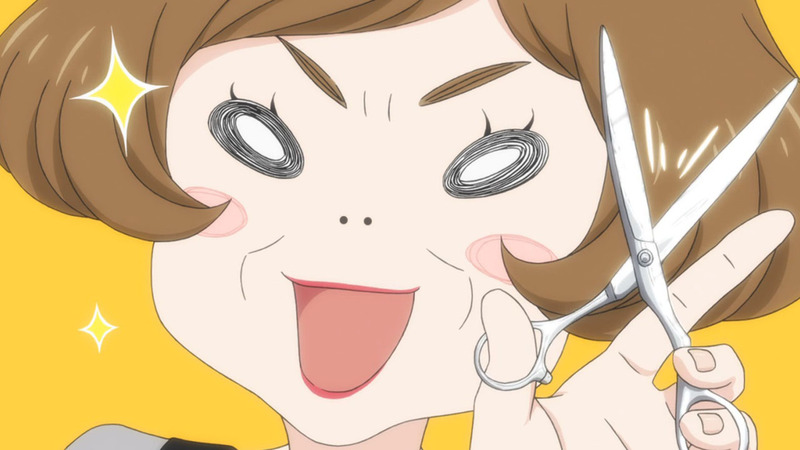 A cheerful Kawamoto never failed to lift my mood, and an upset Kawamoto took me down to the dumps. In spite of their personal tragedies as a family, they’d weathered the tumultuous storm together, keeping their precious morals intact while continuously embodying virtues of kindness. They’ve made the biggest and most positive impact on Rei’s life, saving him from the darkness that threatened to consume him, and helped him find reasons to live. However, it wasn’t all sunshine and rainbows. Hina’s arc was painfully real and hit home hard. 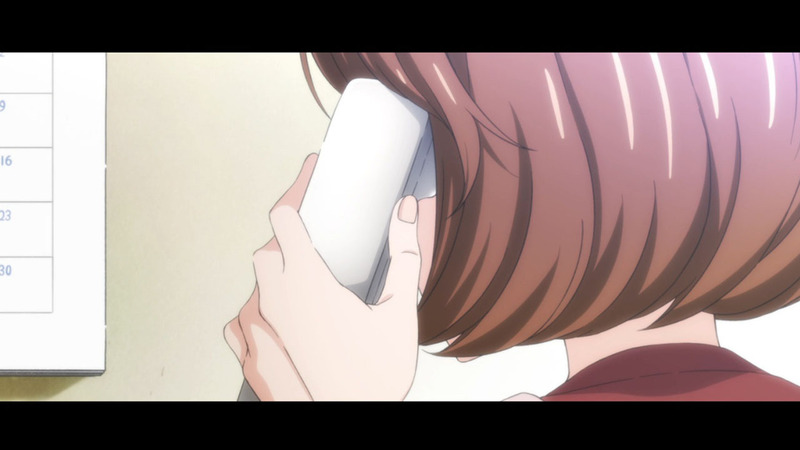 Choosing to defend Chiho, she found herself increasingly isolated and bullied by people she previously called friends. Being repeatedly bullied and trampled on by Takagi’s vicious parent, Akari herself struggled to ensure Hina’s wellbeing, and it transformed from an obligation passed down by their late mother, into a burden too heavy to bear. Yet we saw how Hina remained steadfast in her convictions, insisting that she had done no wrong, refusing to take the bait set out by her tormentors. She also offered reassuring towards her older sister, who was collapsing under the mental pressure, lifting her back up into the light. So Hina managed to overcome her struggles with grace, even if she never got proper closure for her suffering. She leaves behind her hatred, and starts living for a new tomorrow, keeping up her ties with Chiho, who is shown to be slowly recovering in spite of trauma. Any scene with Souya never failed to captivate me. Going back to the analogy of a snow storm slowly increasing in intensity, his presence can be described as engulfing, silently burying those that he plays against. Beautiful, soft, cold, and silent come to mind, but also a deceptively powerful force of the natural world that threatens to overwhelm those amidst its terrifying wake. 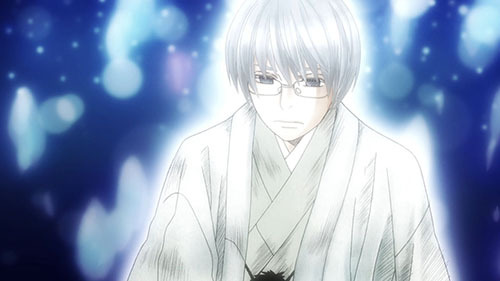 Even though people view Souya as this unparalleled deity, Rei discovers the truth. Souya has intermittent hearing issues, which begs the uncomfortable question. Is Souya’s loneliness a self-determined choice, or had it been forced as a result of his medical condition? Nevertheless, he pursues victory with a singleminded determination, and forges ahead without a second thought to his problems. 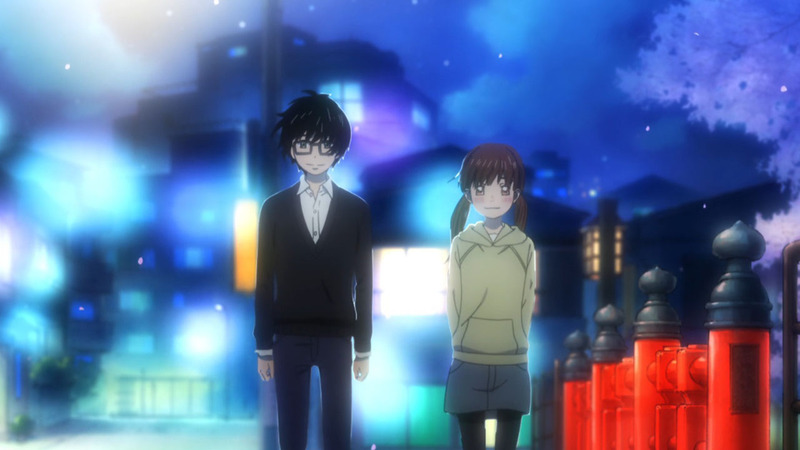 In this instance, Umino Chica humanises Souya, who relies upon shogi as his only means of communicating with others. During their fateful match, Souya offers his unspoken guidance to Rei, giving our protagonist something to truly strive for from the bottom of his heart. 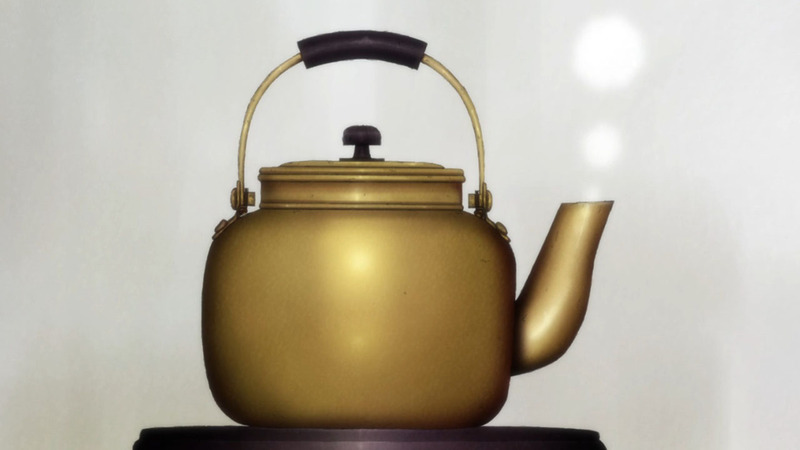 When Shimada and Yanagihara competed for the title of Kishou, we would naturally be inclined to support Shimada. 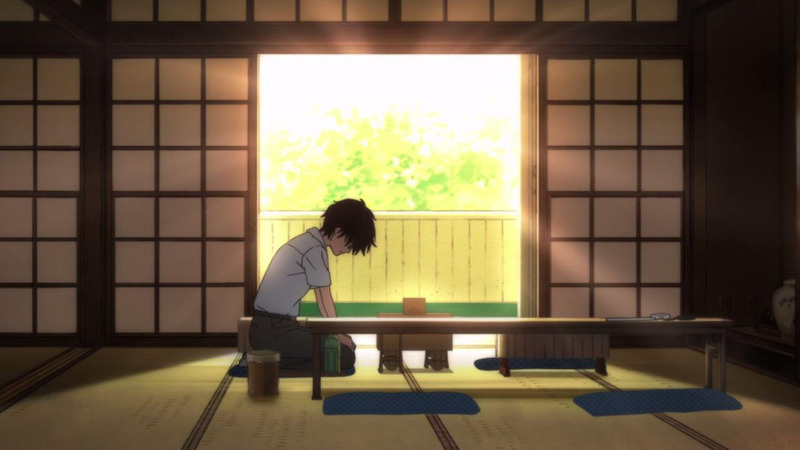 During S1, we witnessed the blood, sweat and tears of an incredibly hard worker, who left behind everything he knew to give his all for shogi. Not to mention he had become something of a mentor figure to Rei. 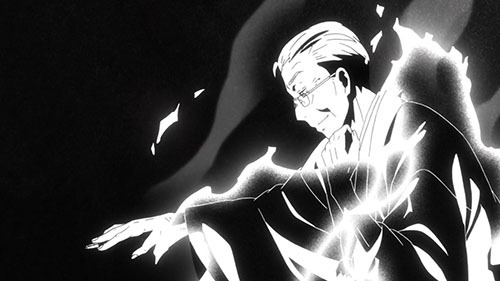 However, Yanigahara recounts his own experiences in the context of ill health and a failing body, as well as the hopes and dreams entrusted to him by comrades who had long passed on from the world of shogi. Through the imagery of a smouldering field, he strikes an old and lonely figure, who sees no future following retirement. Fearing this vision, he chooses to become a metaphorical human torch, burning away his doubts in passionate flames of conviction. I struggled to maintain my loyalty, realising that both men deserved to win, and I would be heartbroken no matter who lost. In the end, I’m glad that Yanigahara won, because Shimada is a relatively young player who will have future chances, whereas a loss for Yanigahara would have spelled the end for him. However fantastic though they maybe, the aforementioned characterisations weren’t the ones that left the deepest impressions on me. Umino Chica’s most incredible trait is the way she can strip monstrous constructs like Takagi, Kyouko, Gotou and Yamazaki down to the bare bones. She is not afraid to show us a vulnerable side deserving of pity, even if some actions cannot be excused. Just as these character are flawed monsters, their inner sadness and potential for redemption makes them human as well: trapped in lives they hate, while lacking complete control over their own agency. 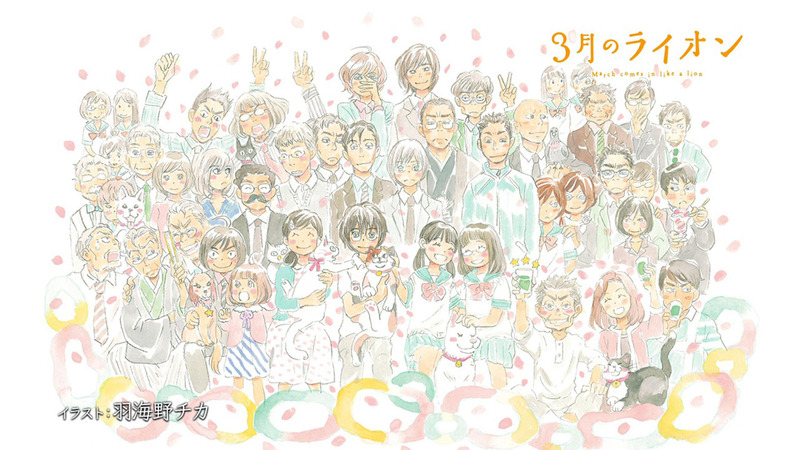 Takagi’s difficult family life, while seeing nothing in her own future; Kyouko’s fragile insecurities, after realising that she could never live up to her father’s expectations; Gotou waiting for his comatose wife, while struggling to maintain his convictions towards her; Yamazaki’s missing pigeon, who he poured his heart and soul into raising. For all their faults, they’ve also been deeply hurt in ways we can relate to, a humbling realisation that helped me empathise with them to some extent. 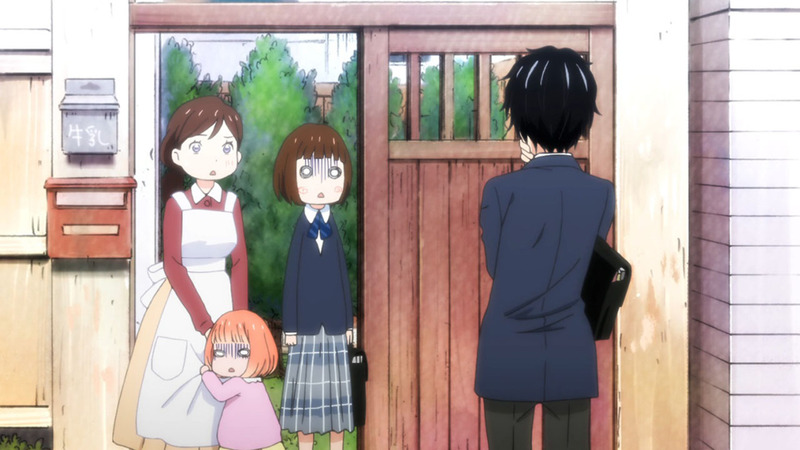 3-gatsu has been a soul-provoking journey, that has sought to convey what it means to be human, through its profoundly character-driven narrative. Darkness is temporary as we strive towards light, provided that there’s the family and friends to back it up. It made for such a compelling watch, because anyone could have been able to relate with a character, and their set of experiences. Through my posts, I talked about how I was bullied, my periods of self-doubt, and how I overcame it all after making awesome friends. 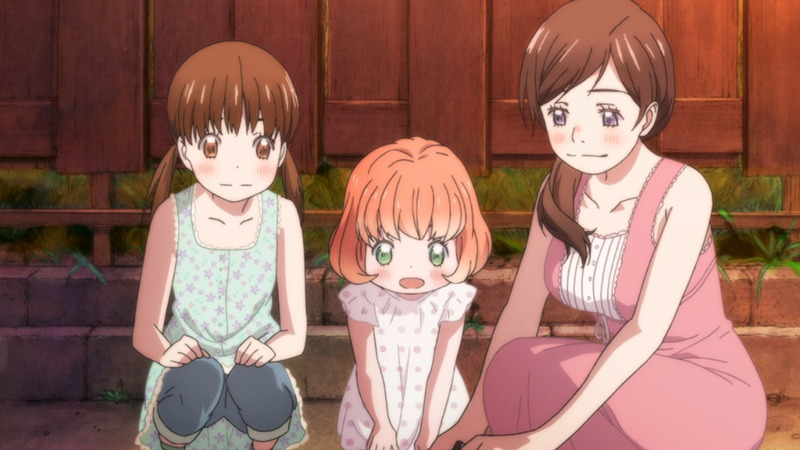 Many people in the comment section also reflected these sentiments, showing how 3-gatsu could bring together a community, as we shared painful times in our lives that we ultimately defeated. 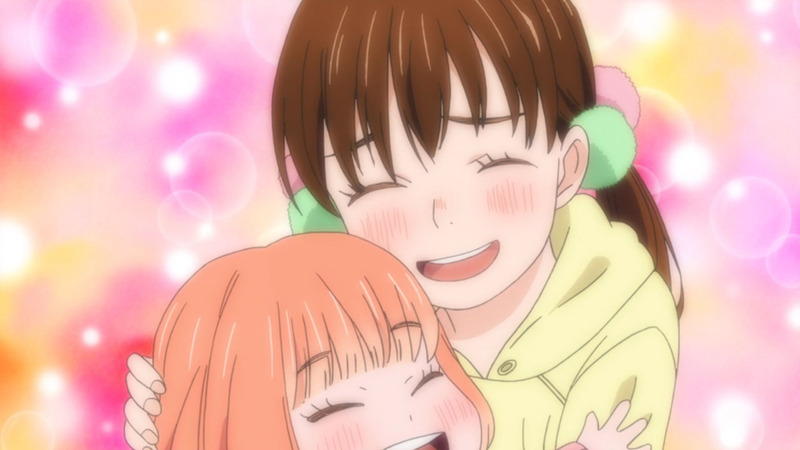 There might be a day where you lose interest in anime, but I hope that 3-gatsu will continue existing somewhere in your hearts, and that you will go on to have fulfilling existences. Fingers crossed. I’m holding out in the hopes of another season, because future events in the manga only get better. But damn, what a ride it has been, and what a hole it has left inside of me. Also, thank you to everyone who’s been keeping up with my posts. 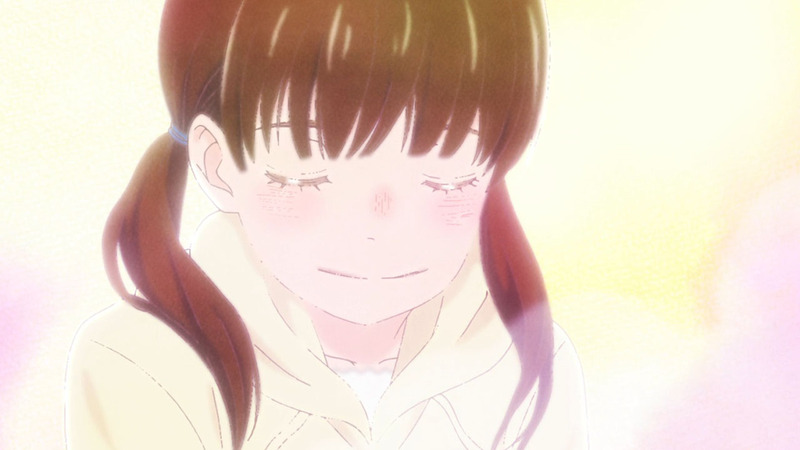 3-gatsu has been nothing short of unforgettable, and it was awesome getting attached to so many characters, as well as watching them grow so much over the course of 44 episodes. Life is beautiful, and too short, but I’m glad to have shared this incredible journey with everybody here. If a S3 gets announced, I’ll definitely be back for more. But until then, see you next time! First of all thank you for the posts, they have been a great read. I’ve been lurking around but commenting for the first time now. 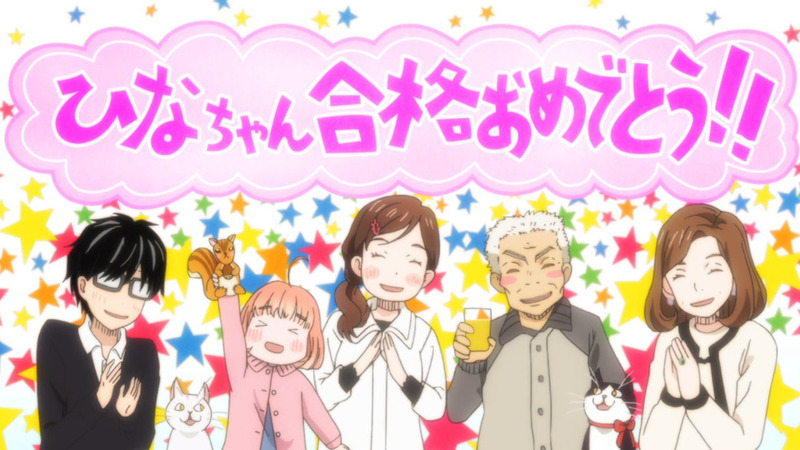 Secondly, I feel incredibly melancholy that this series has ended(for the foreseeable future at least). 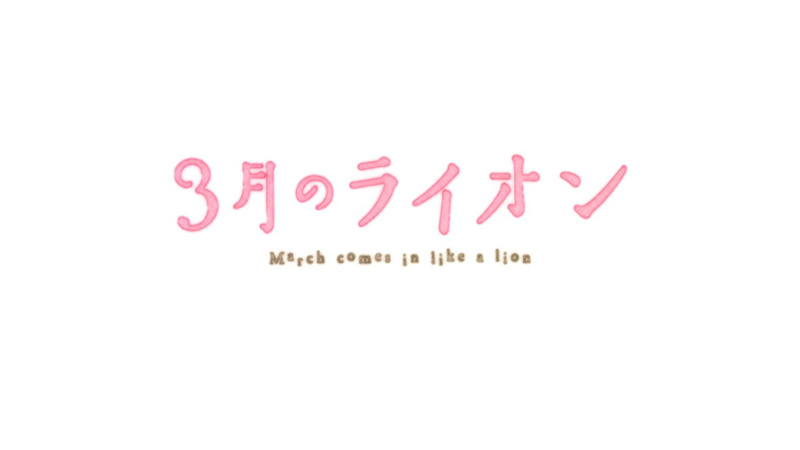 This has been one of the best animes in years, maybe of all time for me. 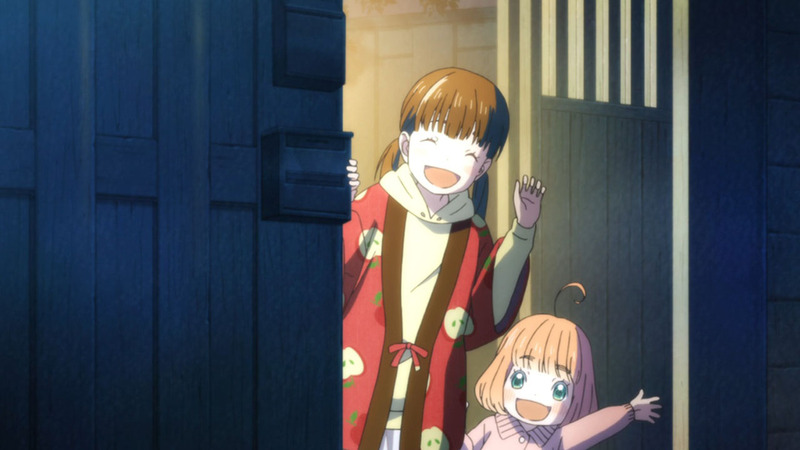 The truly humane and relatable characters have been incredibly interesting to follow and every week I counted the hours for the next 3-gatsu episode. Now I’m just torn between reading the manga since I want to know what happens, and experiencing everything for the first time when it is animated, since shaft did such an amazing job with this. Truly hope that we will see more of people from the march town. No. Thank you for reading my posts, and keeping up in spite of my delays! 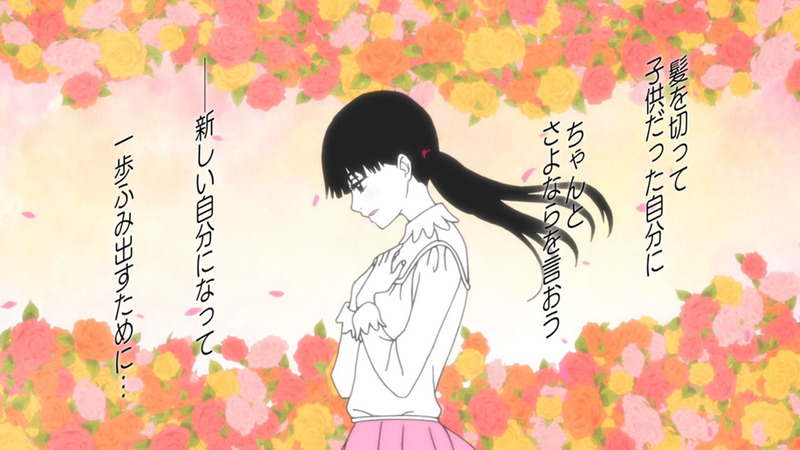 3-gatsu’s finale brought much sadness for me too. 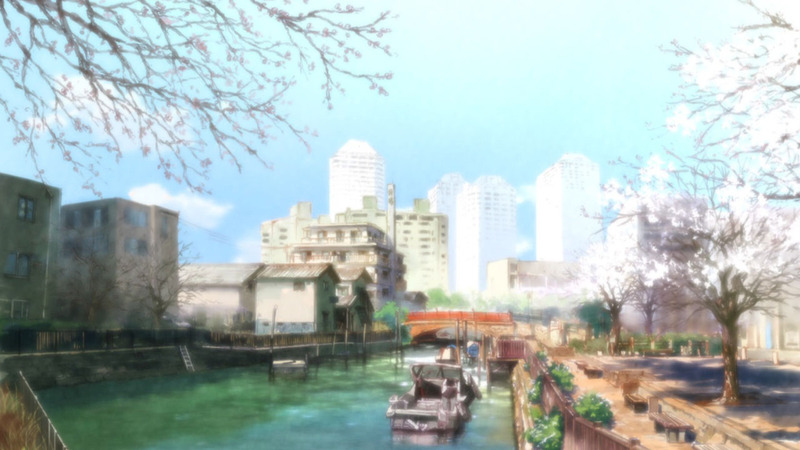 I’m not sure where it ranks, but 3-gatsu is certainly a masterpiece, and will probably be my pick for this year’s best anime. Nothing can come close to the 44 episode experience, where I came to truly care about so many characters, and as a bonus, I even cried over a pigeon. As someone who read the manga, before the anime adaptation came out, it’s a fantastic experience! But I feel like Shaft did an amazing job, expanding these short chapter, into 12 minute segments that fully explored every minor detail. It’ll be hard to get a similar experience from the manga, but it’s possible. At the end of the day, Shaft largely avoided imposing their own style, in favour of using Umino Chica’s one, meaning that they stayed quite faithful to the manga. I did a minor writeup on Nikaidou, but it winded up being 3-4 lines, so he didn’t quite make the cut for my final impressions. To begin with, I misjudged Nikaidou as being a spoiled rich kid, with an obnoxious personality. But his persistence in dealing with Rei was a subconscious indicator of his craving for recognition – a recognition for his true worth, irrespective of medical conditions. 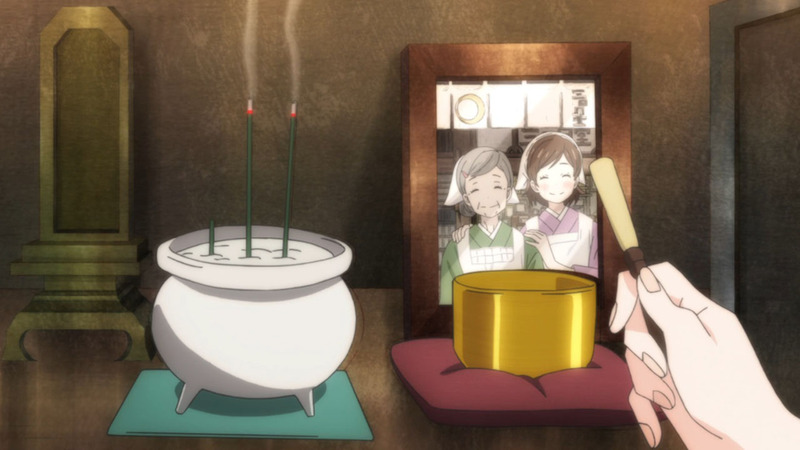 In the end, even though he pursued shogi instead of settling for an easier life, I think he found satisfaction and happiness he otherwise wouldn’t have had from a normal life. That is what makes him such an admirable character. If it makes you feel better, I know that Umino Chica said that Chapter 120 was about the halfway point. 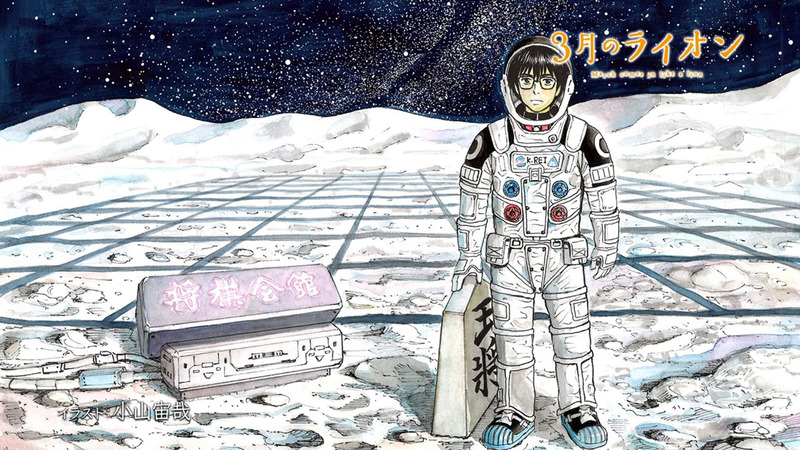 We ended on Chapter 89, which means with a lot of luck, we might see a couple more seasons of 3-gatsu over the next two decades, depending on how far the manga can get. I don’t have much meaningful to add, but I would like to make sure Uchuu Shogi does not go unnoticed. I am also a huge fan of Uchuu Kyoudai! 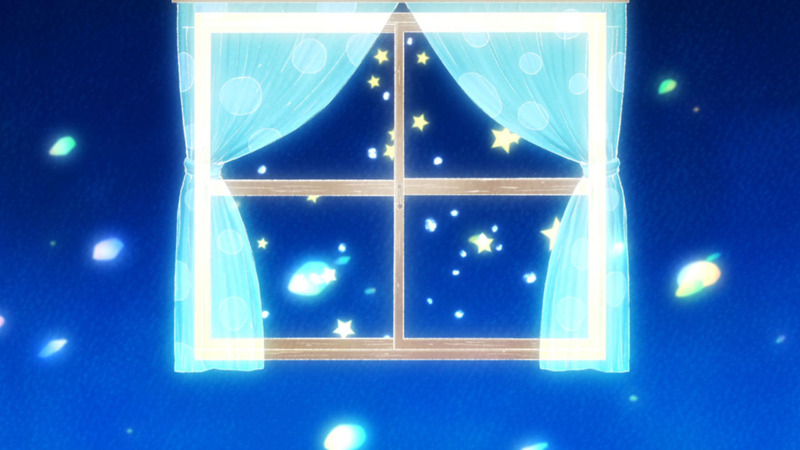 If it answers your question, I’m pretty sure that Enzo did a finale post on Uchuu Kyoudai, many moons back. Did these 2 episodes come out on the same day? I was watching one and then I thought it was the last one, but then there was another in my queue and I was like yay! I really want to see this new Rei meet up with Kyouko again. Of all the characters she seemed to be the one that gave him the most trouble directly. How would they interact now? Anyways Despite the series having 2 full seasons already I would definitely like to see more. These two episodes came out on the same day, and the information was available in advance. I actually spoke about an upcoming double episode in my post from last episode, but even though I knew about it, it seems I underestimated the workload when it came to writing this finale. I’m satisfied with the end product, even if I winded up writing too much, because I was able to express most of my thoughts about S2. I’ve always found Rei’s interactions with Kyouko to be utterly intriguing, because we have two dysfunctional people, who indirectly worsened each other’s problems (with Papa Kouda shouldering most of the blame here). In spite of all that, they’re unable to extract themselves from each other’s lives, despite the continuous damage they do to one another. I feel that Rei had an crush on his adoptive sister, as a result of her sexually abusing him, that he struggled to deal with. However, there was a confusing moment in S2, which turned out pretty cryptic. Remember when Rei called Hina the ‘saviour of his life’? 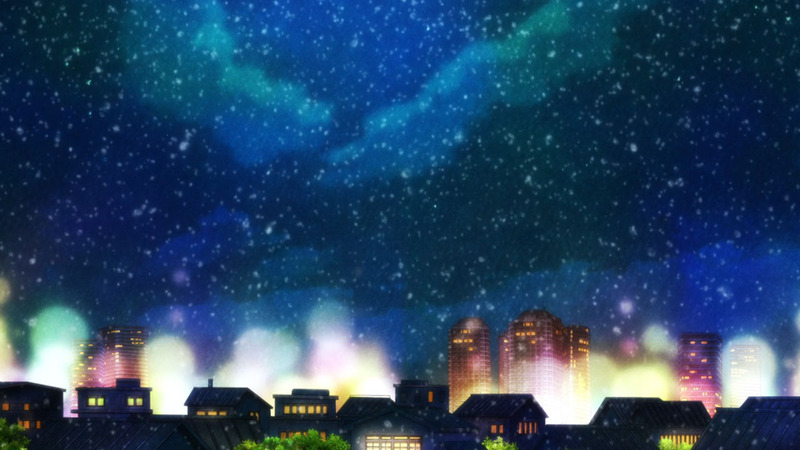 I can pinpoint that exact moment, as being the point where he fell in love with Hina, which washed away his complex and messed up feelings towards Kyouko. 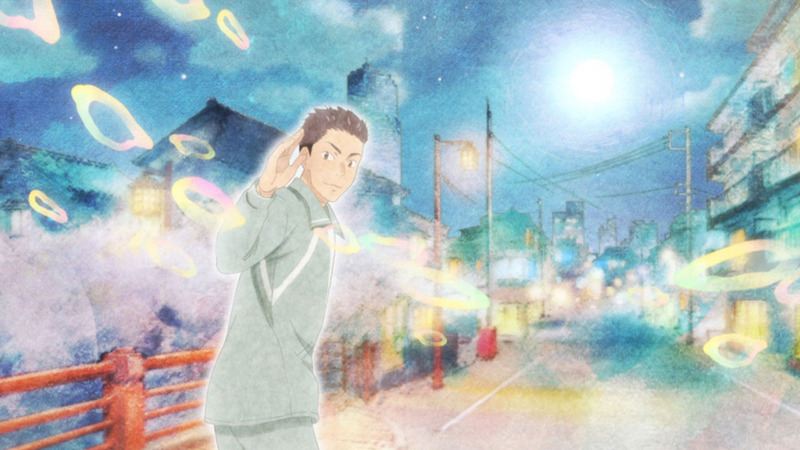 In seeing a girl who wouldn’t give up on Chiho, he saw a girl who would have saved him, back when he used to be bullied. All of a sudden, he finds this incredible willpower to live for her sake, so again she ‘saves’ him from the darkness in his heart. As far as I can tell, he uses this newfound motivation to forge ahead in the Newcomer Tournament, so that he can try and aid her predicament against bullies. I haven’t read the manga, but for what i peeked this really was a fantastic adaptation, it has an excelent pace, one can see the love for the source material, and that’s something we can’t gave for granted. 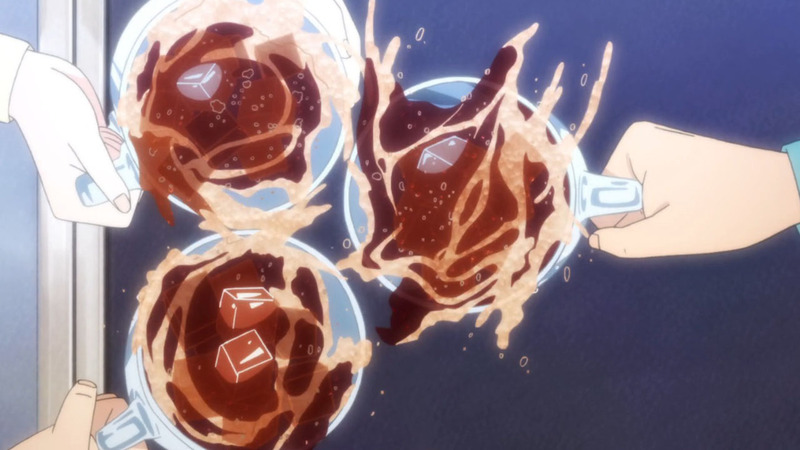 Typically, Shaft’s 50-50 execution of abstracting everything is what tends to cause controversy within the community. At this point, I’d call it a Shinbo thing, since it’s particularly notable in whatever works he ends up being involved in. 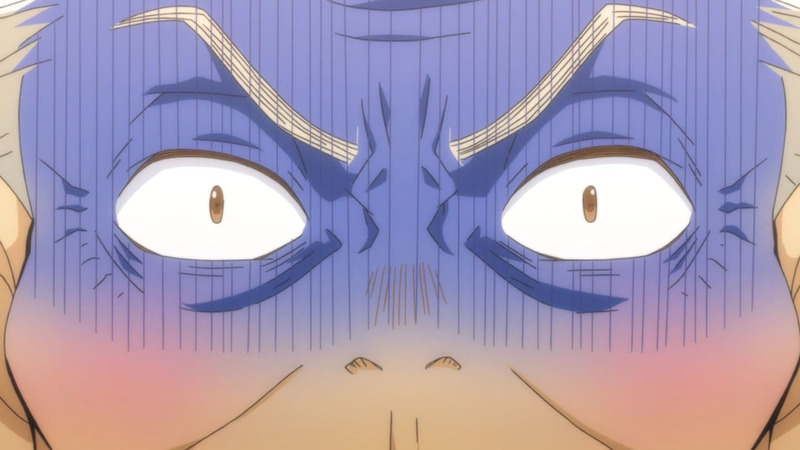 However, in this adaptation, I would describe Shaft as having adapted 90% in the spirit of Umino Chica’s vision, while leaving the remaining 10% to Shaft around all they wanted. This was a really healthy balance, that allowed 3-gatsu to be explored in really interesting ways, that went beyond the full potential of what a conventional adaptation might have achieved. Thanks for your coverage Zaiden, made the journey of watching it all the more enjoyable! 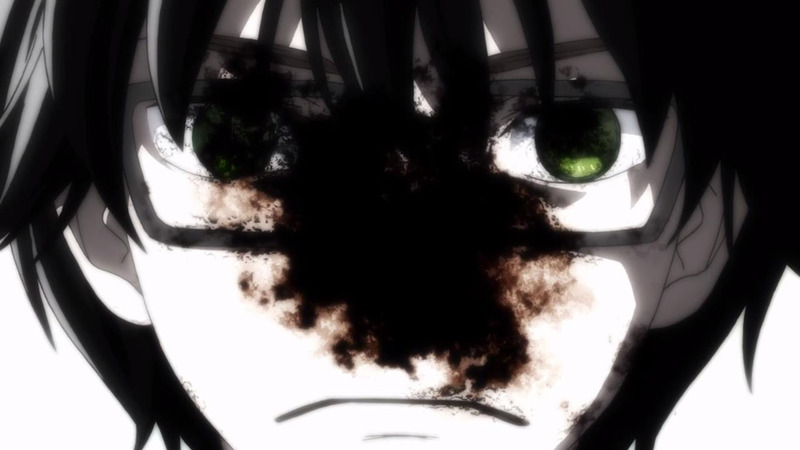 I thought this would end around ep 24, so I was surprised / sad when they double released and it was THE END. Anyhow it was so good. Jokes aside I finally went ahead to read the latest (?) released volume and AGAIN, Umino doesn’t cease to amaze ugh. Bambi, nay, thank you! 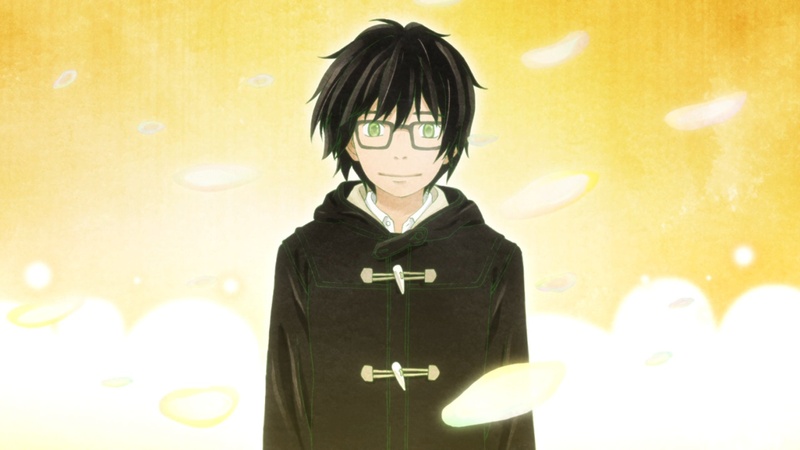 3-gatsu was a show that didn’t receive as many views, compared to other shows on RandomC. But after a year of blogging, that stuff stops mattering. 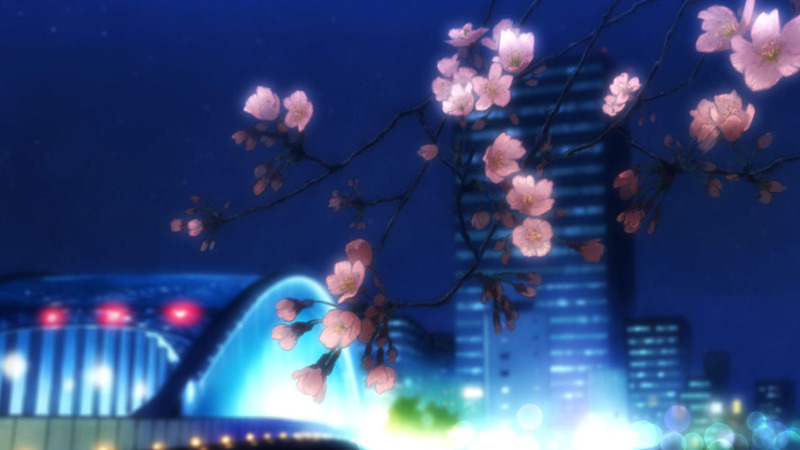 I was simply content blogging an anime that I was so passionate about, and I hope that my effort showed through my writing. 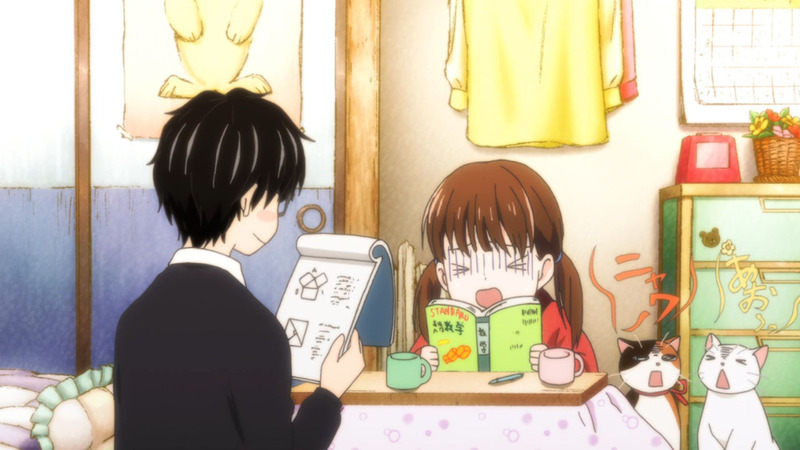 I don’t think Umino-sensei works too hard. She serialises in Young Animal, and publishes 20 pages once every two weeks. Currently, 3-gatsu is one of the longest running works, if we disqualify Berserk for its constant hiatuses. 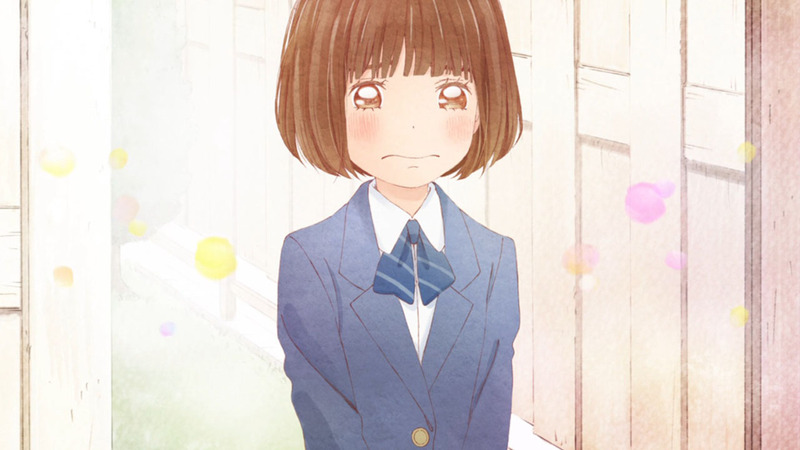 Her fellow mangakas (Kentaro Miura, Mouri Kouji, etc) all pointed out that she’s an extremely shy and introverted person, who spend her days cooped up inside doodling. 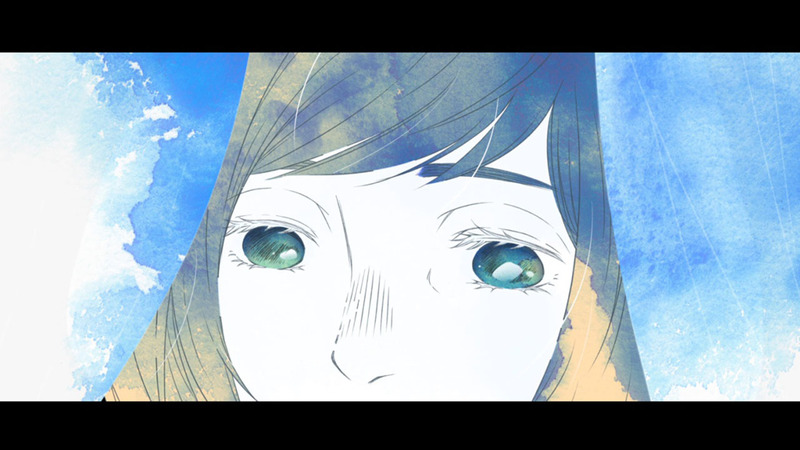 Despite her introverted nature, and lack of outside interactions, she somehow has a profound comprehension of humans. That makes me think she’s also a natural, when it comes to creating manga. Can’t wait for the latest volume to get translated. Really hoping that it’ll be an awesome one! All your posts were great reads, Zaiden. Kudos to you!! Hope we get to see these characters grow for another 22 episodes. Do you have any idea what’s the latest chapter of the manga right now? I’m curious if there’s enough material for another season. Some of my posts could have been better, but I’m glad that you found them great! Thank you very much, Luis. I would also like to see further growth over another 22 episodes, and since the manga is 130+ chapters in, there’s currently enough material to adapt a third season that’s 2 cour. I don’t think they should do that though, because there’s no harm in waiting a bit longer. 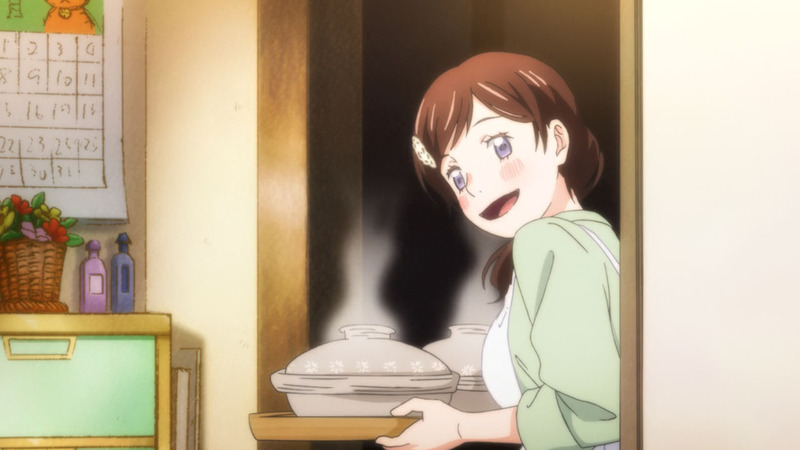 Shaft really put a lot of focus on 3-gatsu, making less series per year once they picked it up, and I’d be happy to see them take a creative break to freely Shaft about as they like. season 2 recently reached the top 10 on MAL (9,08/10), with enough potential to reach the top 5. Hopefully more people will notice it now. Anyway Zaiden, it was a pleasure to read your posts, I’m looking forward to your next series! I’m always ready to promote this show as much as I can, it just blew me away like nothing else. On top of that, it’s criminally underwatched. Anyway the ones we should praise are all the people that upvoted it. I was expecting at most 300 upvotes, I would have never expected it to surprass the thousand. But yeah, it is such a criminally underwatched show. 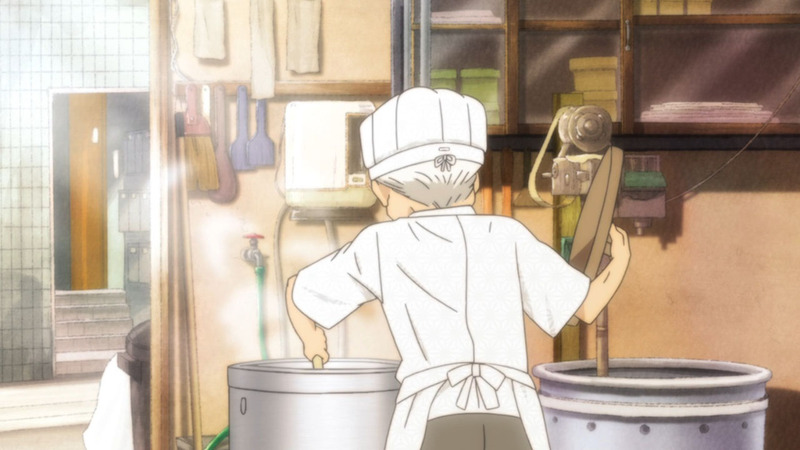 If MAL numbers are anything to go by, Made in Abyss has been rated by 300,000 members, whereas 3-gatsu has only been rated by 68,000. Which is why posts on reddit like yours are exactly what the community needs! Just as much as it was a pleasure to watch this show, it has been a pleasure to read your posts about it. 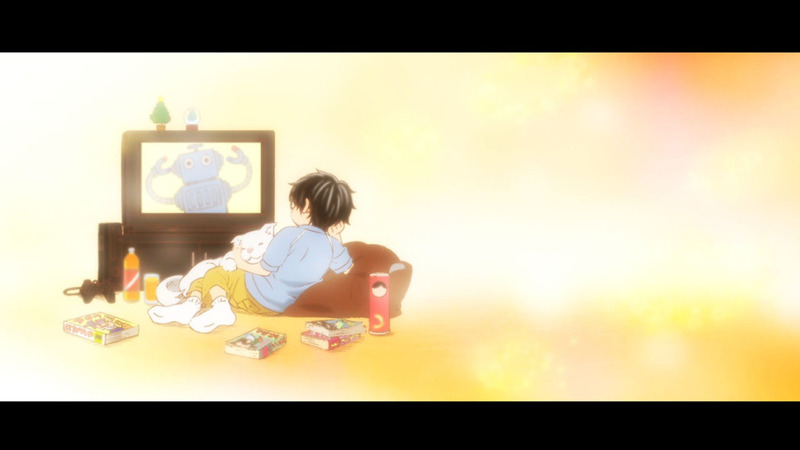 Looking forward to the next show you decide to review, and yes, another season of 3-gatsu would be wonderful. I’m happy that people would be happy to read the next show I decide to review. 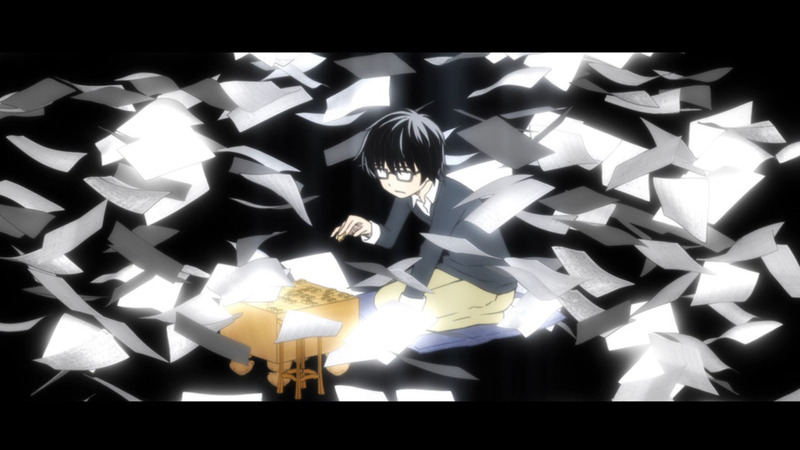 However, 3-gatsu might prove a bit of a one off in terms of the effort I put when it came to writing. Since the manga is already one of my all-time favourites, I came in with a highly vested interested to express my love towards Umino Chica’s creations. It was a passion project I took over from Takaii, that I wanted to see through right till the very end. As for future series, I’m not sure what my general style can be described as. I try to break things down thematically into two components, before wrapping things off with some concluding thoughts. 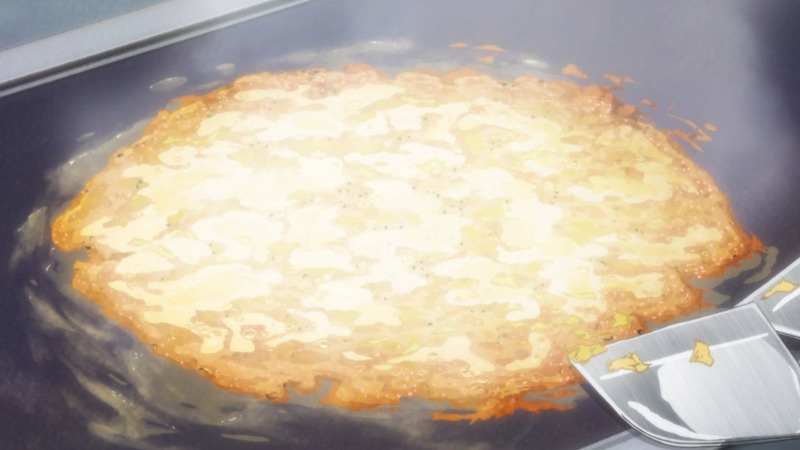 If the series happens to focus on food, I like adding an additional segment, where I recreate the food or go somewhere else to grab a bite of it. The ending brings both sweetness and bitterness to me. Two very enjoyable episodes overall that were quite consistent with what came before it. While it was meaning to be the “end” it felt more like a new start for the both of them together. 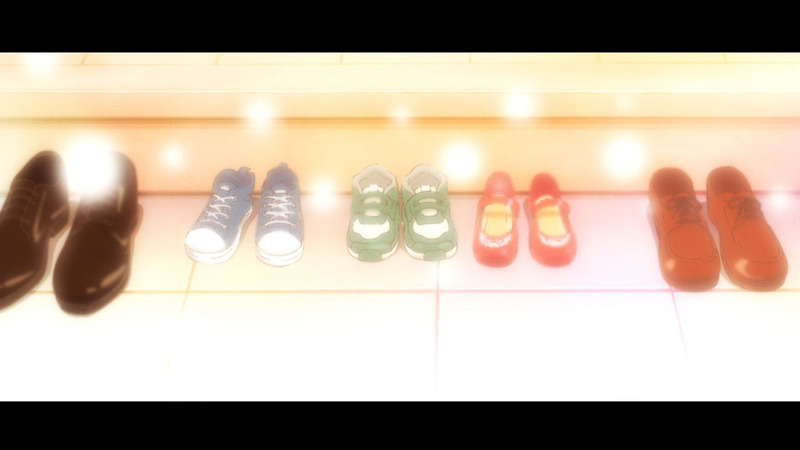 Saying goodbye to the past and parting with friends, Hina for sure felt quite sad and overwhelmed, but I loved the way it was shown that Rei is still there for her, and even more now that they go to the same school. 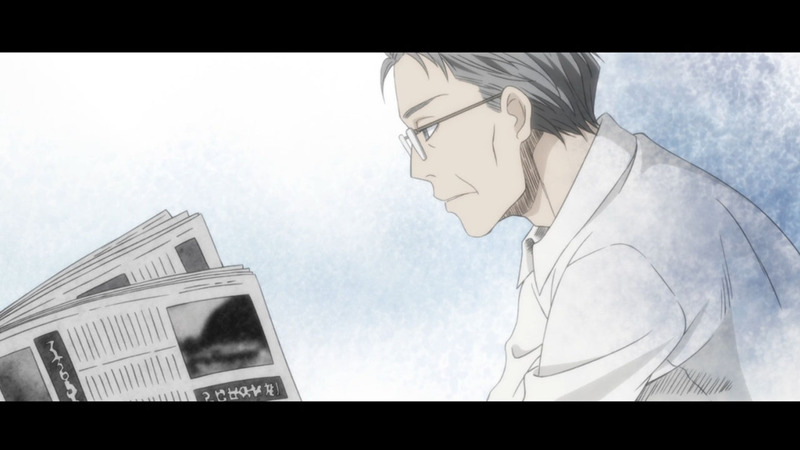 The part at the beginning of episode 44 was so emotional and the way it was told caught me so off-guard I was pretty much blown away by everything that was said from the mother’s point of view. 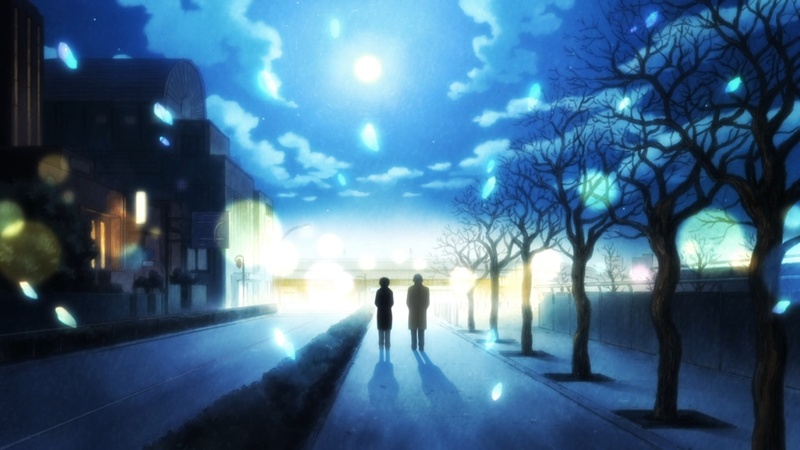 Not only was Rei to say proberly goodbye to her this time when leaving, it felt like that a part of him always wanted to to return to make sure he can finally rest. His character growth is second to none, and it has been a pleasure to watch Rei mature as a person with the progression of the series. He’s arguably the most developed character in the series and there is still so much room for more. 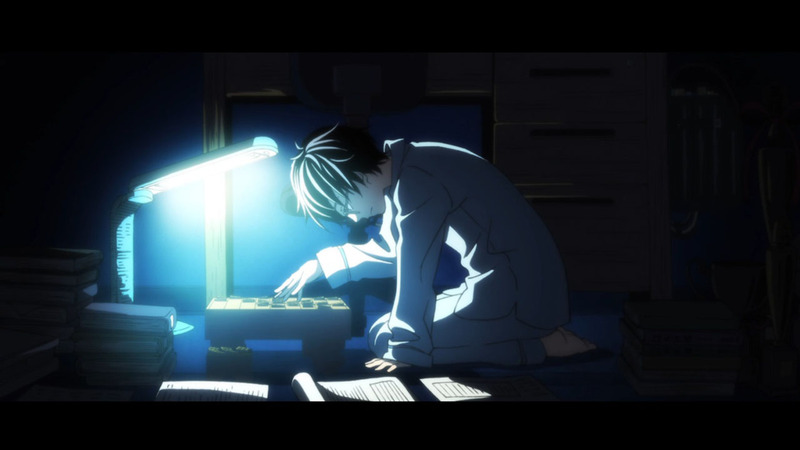 For Rei to win most of his battles in Shogi, determination is not enough. But what is enough, or what the story is showing us, is this curious moment of self-reflection and self-recognition. While Rei started to see Hina and her family as a source of inspiration to improve himself, which is a wonderful development. I’m totally fine with Rei playing for the people he loves and cares about, still at some point, gradually, he needs to find more interests in this own game and would like to improve much. Not only there’s quite a lot of focus on them in the story I can’t imagine how it would be without them. 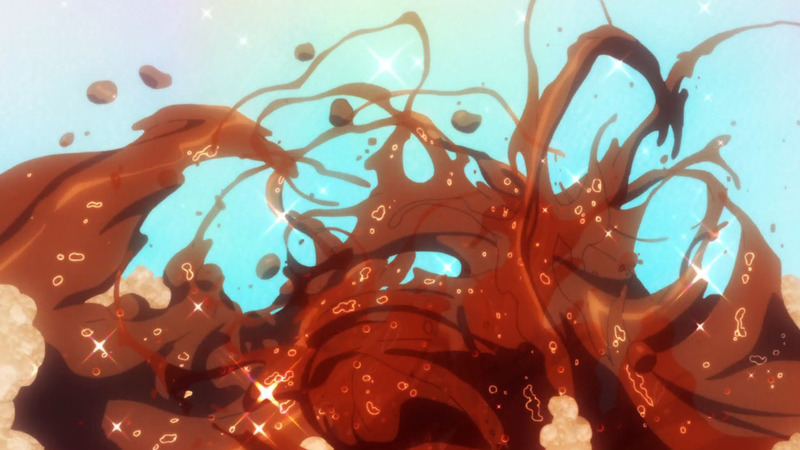 Hina is the first character in a long time that has constantly evolved for the better. She’s one who grew up a lot out of everyone throughout the whole series with everything that happened to her and what she went through. Even when the challenge is daunting and sometimes the future seems bleak, Hina will never back down and run away. 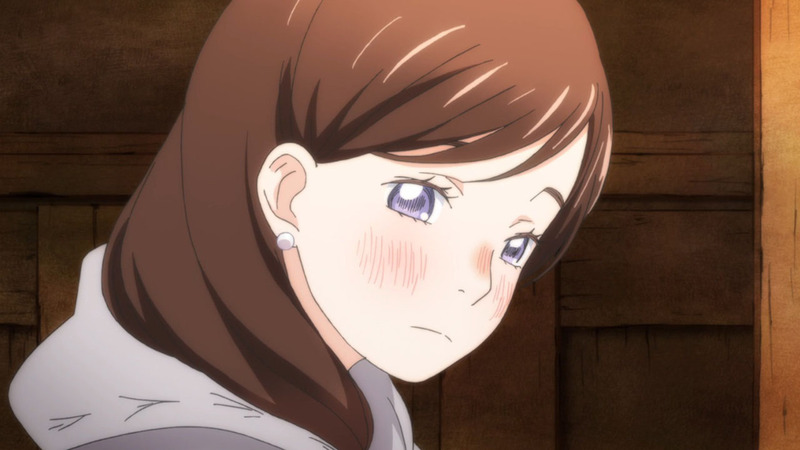 Everything that is about her completely stole the spotlight she was pretty much a second protagonist in the bullying arc, and after that she got so much more involved into the Story. 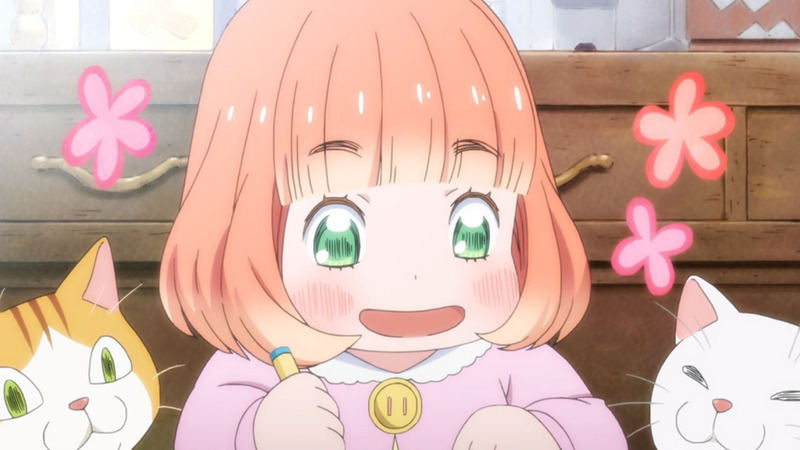 As for Akari I really, really want her to be genuinely happy in the end. As long if her family can be cheerful and laugh it will be fine for her. However, whether she finds someone to fall in love with who might be able to support her and the whole family doesn’t really matter if she can’t release a little of herself from the burden from losing her mother and raising two little sisters on her own with little help she has. Umino Chica is a genius and the way she shifts from one characters point of view to another has been so captivating for two whole seasons! All Shogi players have their own personal styles of play that correspond to their characters which makes it much more interesting. Some of the Matches were so intense and fun. 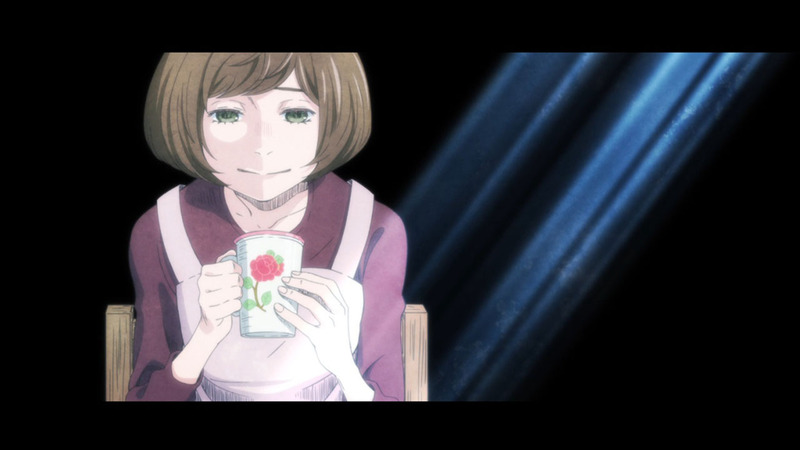 As for my favourite Arc, I can’t stop wondering if perhaps she was a victim of bullying herself, or at least saw a lot of it during her days in school. The reason why it happened in the first place was not because of a simple “If you stand out, you get bullied” but rather it seems like of the reasons they give for bullying is that the students themselves do not see much of a future for themselves. Your final post and impression are marvellous. 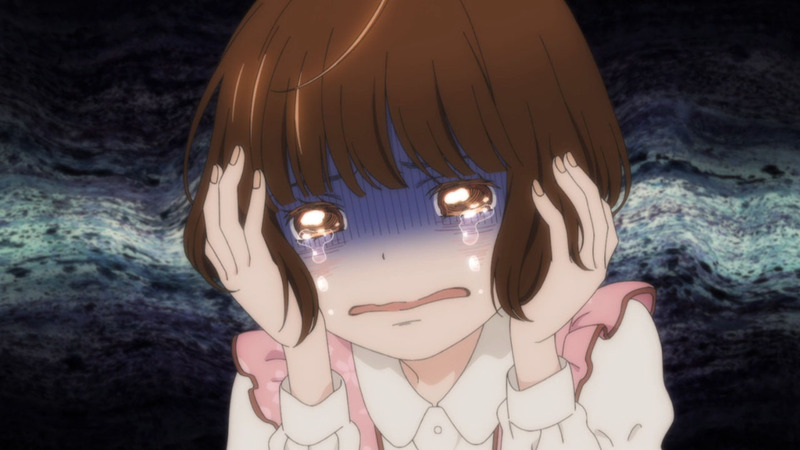 I’m really gonna miss reading your post about 3gatsu Zaiden. Thank you so much for covering this show and devoting your hard work and time to write these weekly posts. They were always wonderful worded and not just informative but also very well written in terms of emotions and expressions. Some got really personal so thanks for sharing that as well. I had a lot of fun watching this show knowing someone else is doing the same and able to share it! While I’m not sure what I’ll watch next besides My Hero Academia S3 and Piano no Mori I’m sure there will be some other time where you take me on a journey like this again! 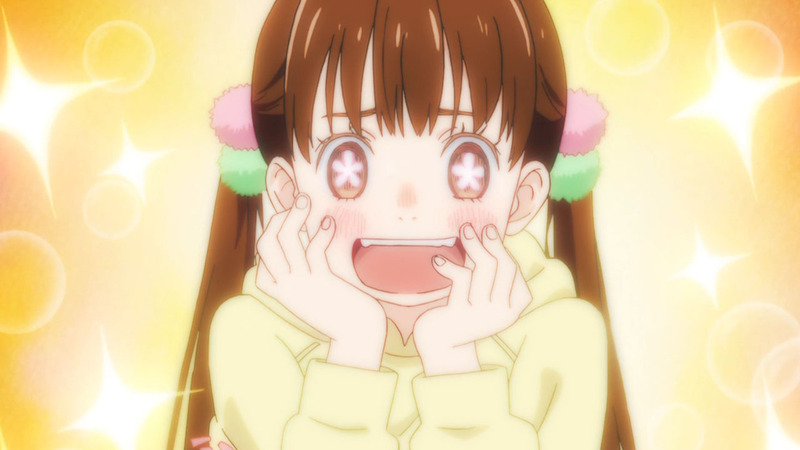 And of course if 3gatsu returns for a third time I’ll be back for sure! I know I’m gonna be cursed by how many times I already said it, but I think I can finally read the manga now! For sure this time! My favourite iteration of Hina’s hair was when she left it untied at a long length. Of course, she looks really cute now. But I personally prefer it the other way. Umino Chica’s shift in perspectives are easily achieved in the manga, where you can vary your focus by dedicating 1-2 chapters to an individual character. With the anime adapting 2 chapters for most episodes, that translated really well onto the screen, meaning that there were no interruptions to any exposition. 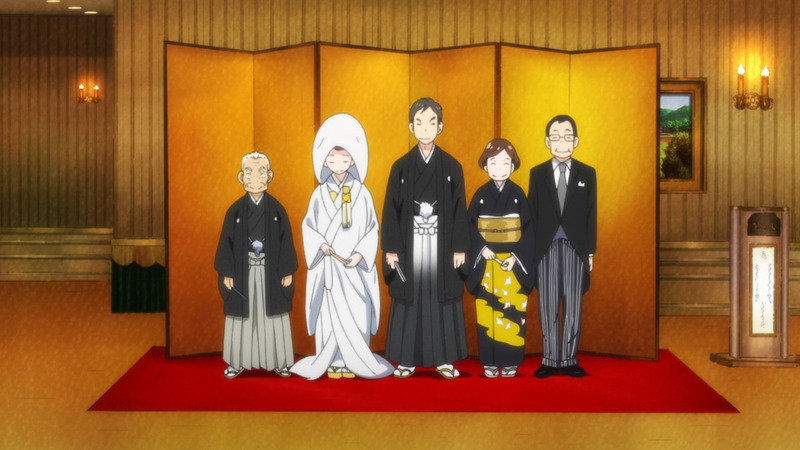 You make a really great point, that Umino-sensei varied up the styles and personalities of the shogi players, which reflected really well in the matches they played. I’m flattered that you managed to enjoy my writing so much. If anything, alongside the series, I’m going to miss reading/replying to your comments Kana-chan, because I thoroughly enjoyed doing so. Thank you for following my coverage to the end, and providing really great insights, that expanded the scope of my perspective! If there are no signs of a S3, I encourage you to go out and read the manga, which is also a masterpiece in its own rights! Oh yeah I liked that a lot too, and I’m gonna miss her cute little fluffly hair clips and such. Sure! I’ll take a look at these two. Maybe one of them is something I’ll like. With the anime adapting 2 chapters for most episodes, that translated really well onto the screen, meaning that there were no interruptions to any exposition. This reminds me of something I think I saw on twitter a few posts where the staff always posts the storyboards (they looked really cute with the manga drawings used as the cover for those) and there are always two chapters listed. So I figured already that they use two chapters and it really seems like they never really skipped something or put filler in it. Thank you Zaiden! That means a lot to me that my comments and personal view brought you joy! and I hope you still continue to write for RC a long long time! Man, what a season. I really hope that this gets a third season, but given where it is in the source, perhaps they should wait a bit. 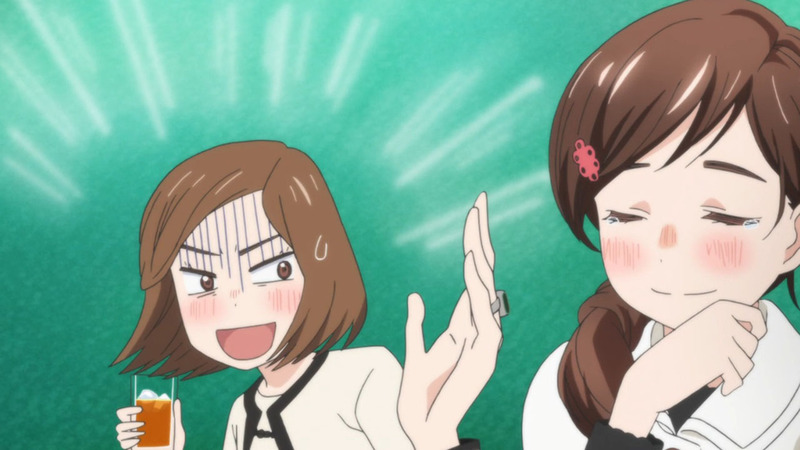 I’m surprised that there was no comment on Hina’s hairstyle, or at least the reactions garnered by it. 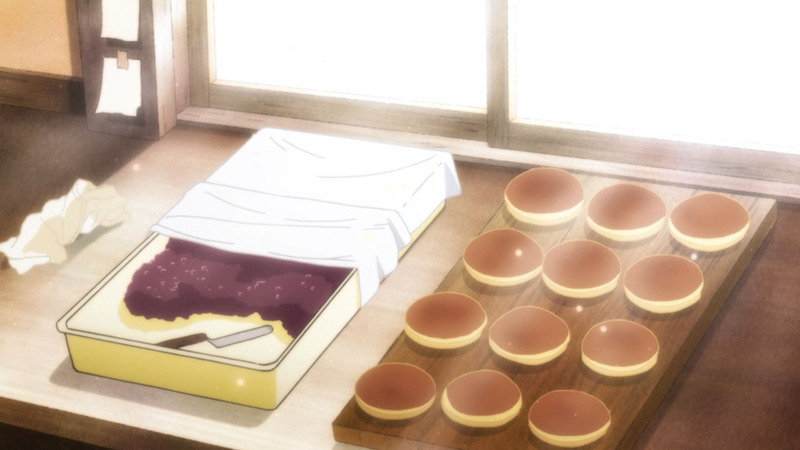 I was really able to relate to this series given Rei’s experiences. Sometimes, the best thing you can do in life is to find friends that you can talk to. As far as I can tell, everyone’s hoping for a third season. I chose not to bring up Hina’s hairstyle, since my post was already getting really long. However, I did find her new hairstyle to be really cute, and chuckled quite a bit when Rei gave a really positive reaction to seeing it. 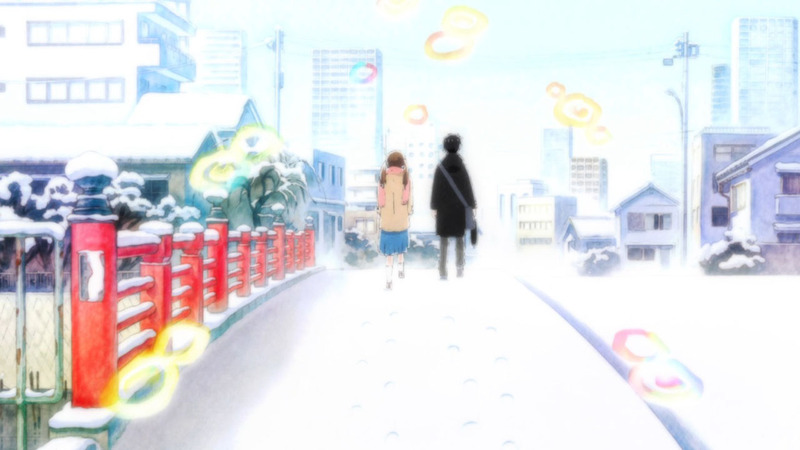 In some respects, I was able to relate with Kiriyama, especially that uncertainty over my future. Just as he had doubts about shogi, I too have doubts about the current path which I pursue, so it was refreshing to see him overcome his problems. 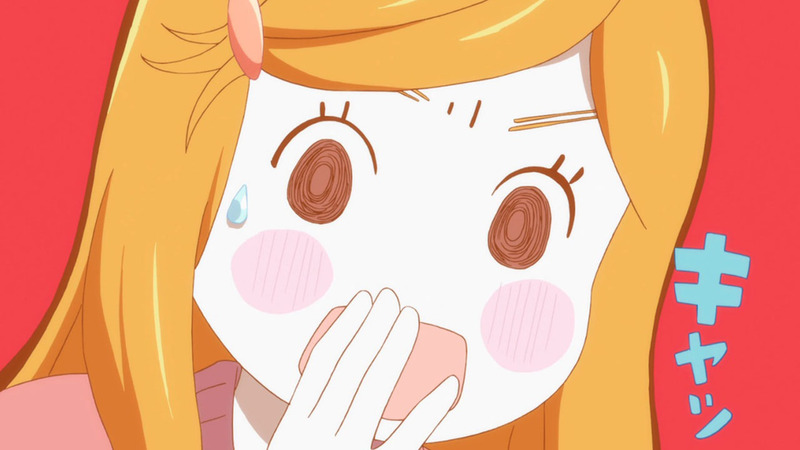 However, in terms of personality, I’m much more of a Nikaidou. Extremely extroverted and cheerful, perhaps to a fault! Finally, I agree that friends are one of the best things about life! Being with my friends gives me one of the highest levels of emotional fulfilment, and the few I can count within such a circle, are the ones who I have no problems talking to or relying upon. Thanks for sharing your thoughts over this wonderful series with us, Zayden. 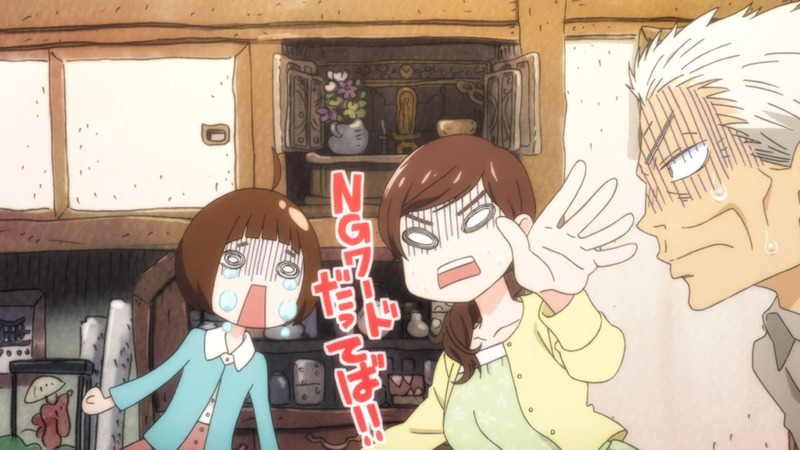 I am a reader of the manga and I was waiting anxiously for the aunt concerns to be animated hahahaha! 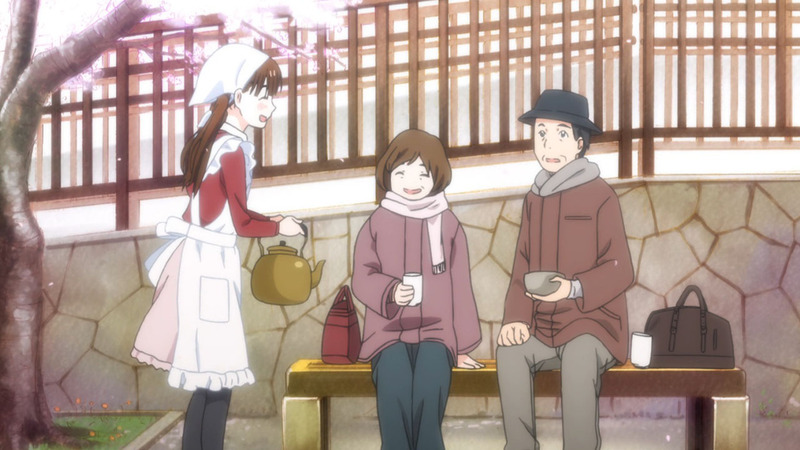 Just loved how Akari and grandpa’s feelings towards Rei really reached her. I had the impression she was apologizing as offering him so much food for even doubting his nature. 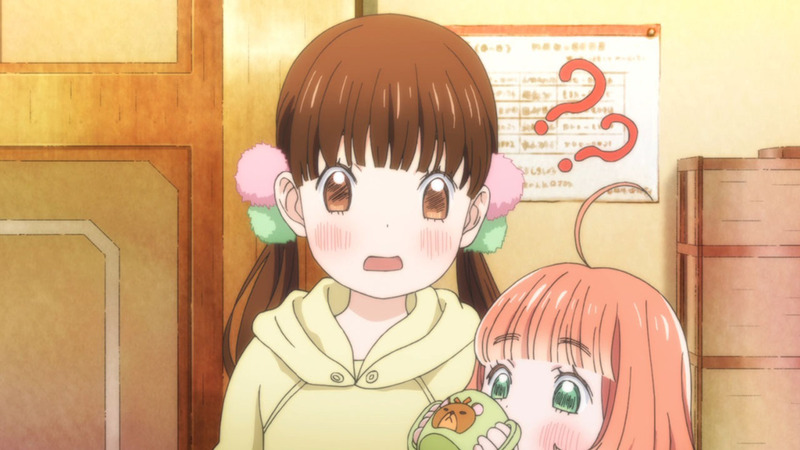 I must admit I have a problem with Chika Umino towards Honey & Clover and the whole end about Sensei’s feelings towards Hagu, then, Usagi Drop and that end too, so I was a little disappointed when I read foruns ( before I reached Hina’s arc ) and people were talking about Rei’s confession and stuff. I had the impression all concern and care Sensei and Daikichi showed for Hagu and Rin were only for their own gain. Hanamoto-sensei even tells people he is like a father to Hagu and then later it was only infatuation? Come on. 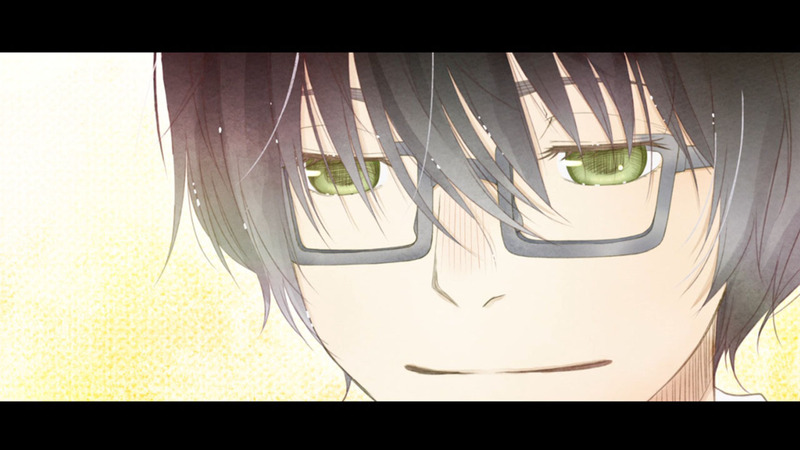 But, reading those chapters in the manga I fell completely in love with Rei and he is my sweetheart again now. 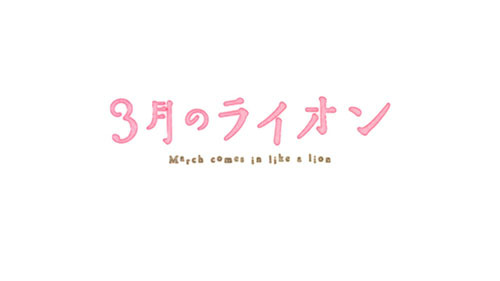 I truly hope we can have a third season, the scanlations of the manga are really slow for a while now and I hope this manga continue to make my heart flutter for many chapters to come. No problem, neko_in_blue, the pleasure was mine. Thank you for commenting, as well as reading all the way to the end. I am also a reader of the manga, and I found Someji’s response to be particularly hilarious. 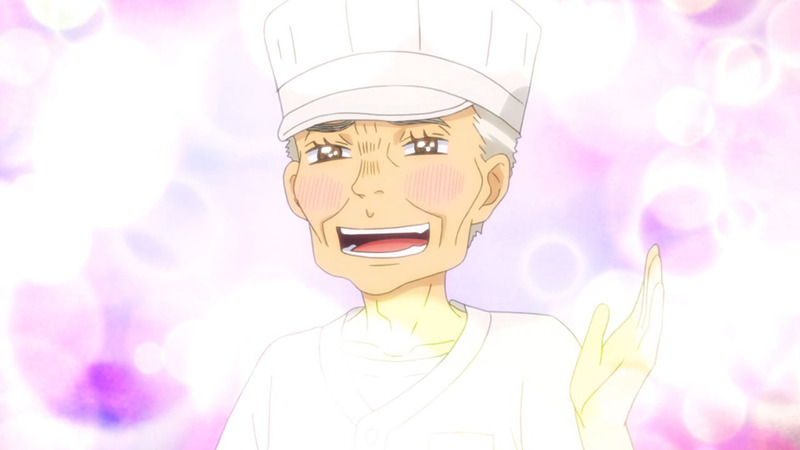 Heck, I love how he has this doting grandpa mode as well. When he starts dazzling with smiles, it’s such a funny contrast against his usual gruffness. 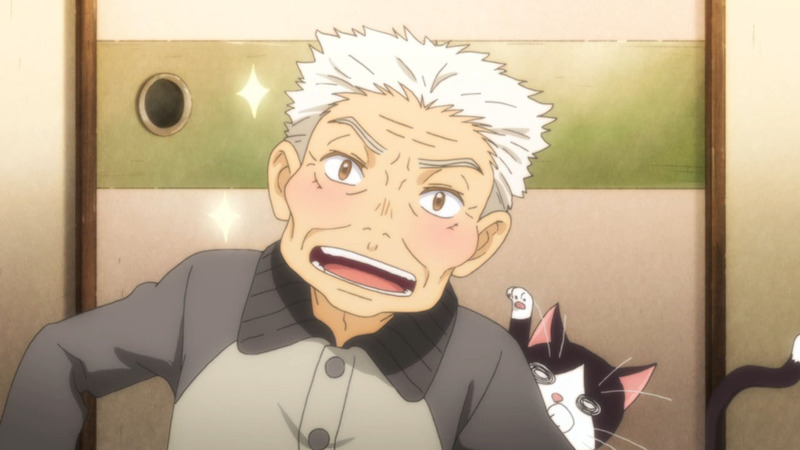 The aunt/Akari’s reactions are also good, but I’ve gotta give it to gramps. 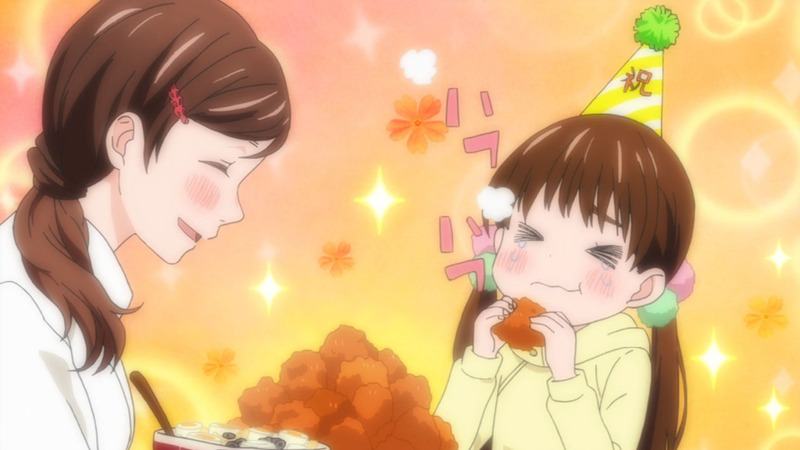 Personally, I thought the aunt offered Rei lots of food, because she approved of him. But hey, it doesn’t contradict what you’ve suggested. It could be a combination of both! At this point, who doesn’t want a third season? From what I know, the manga scanlation speeds correlate with tankoubon releases, and 3-gatsu publishes in the Young Animal magazine. I don’t know how often 3-gatsu appears in Young Animal, but I’d guess once a month, meaning that 12-13 chapters come out every year. Considering the series started in 2007, that would make sense, since 11 years = 130ish chapters. And according to Umino Chica, we’re barely at the halfway point! 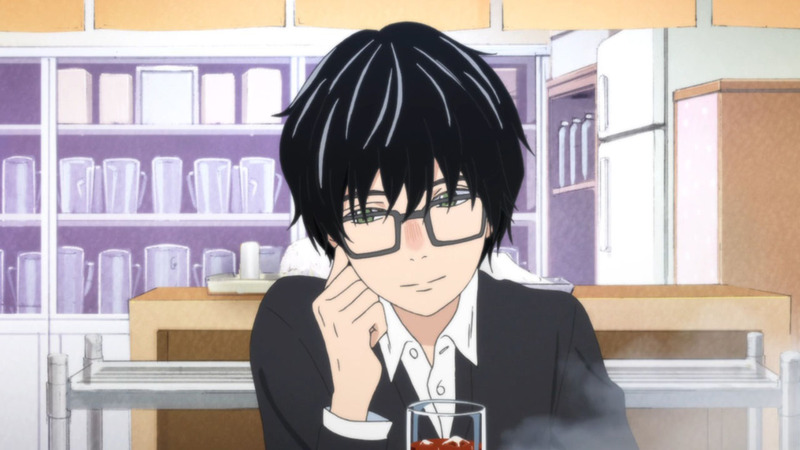 Assuming 3-gatsu has another decade left in it, I’ll be really happy to wait for more seasons of the anime, especially if Shaft chose to preside over them.